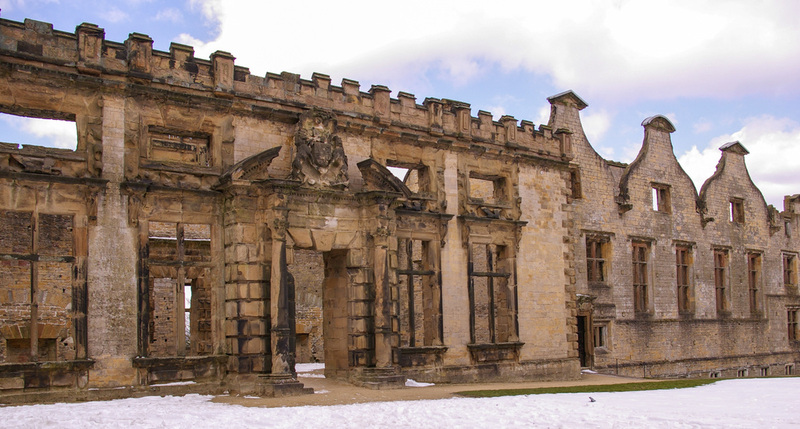 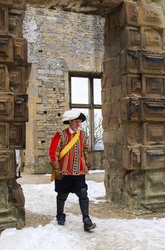 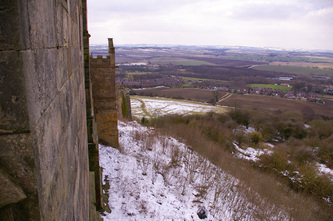 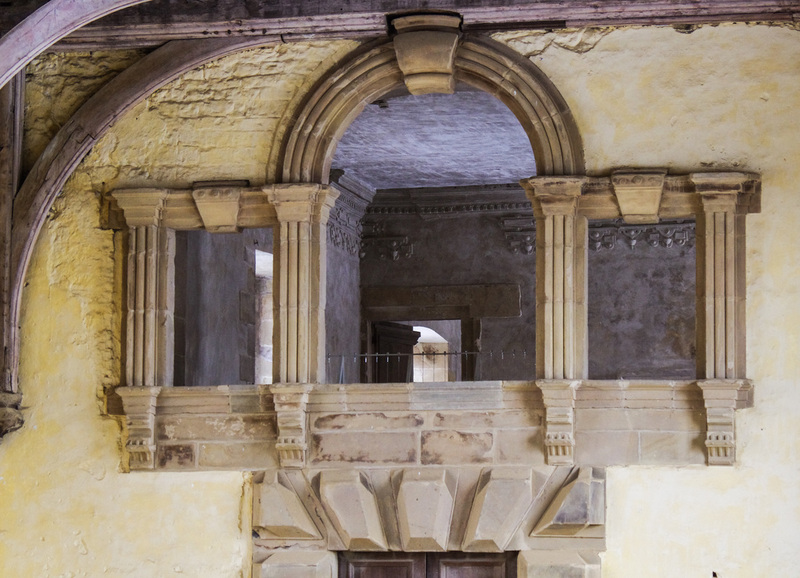 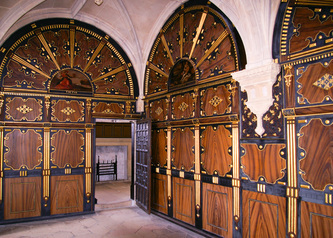 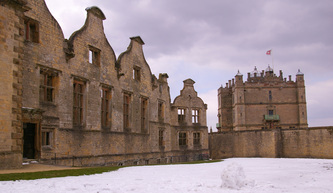 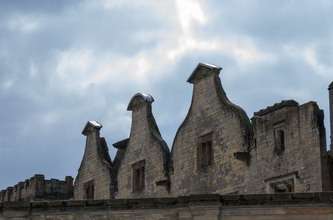 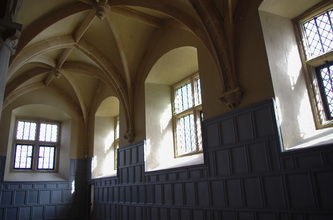 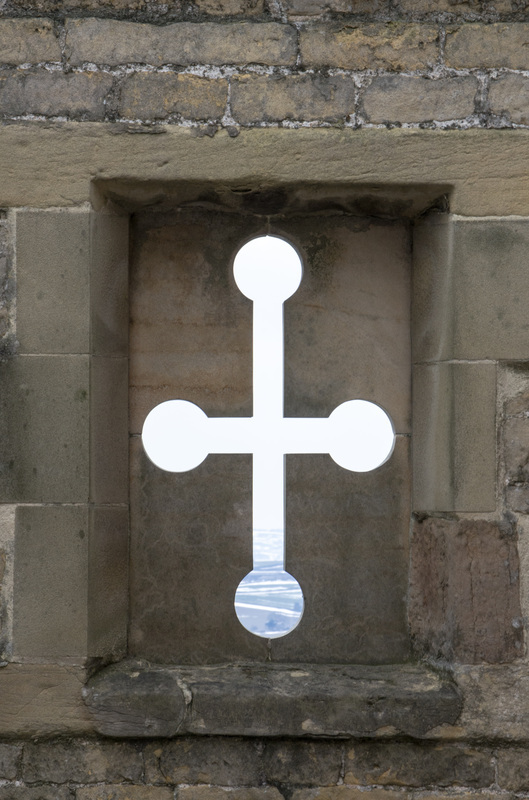 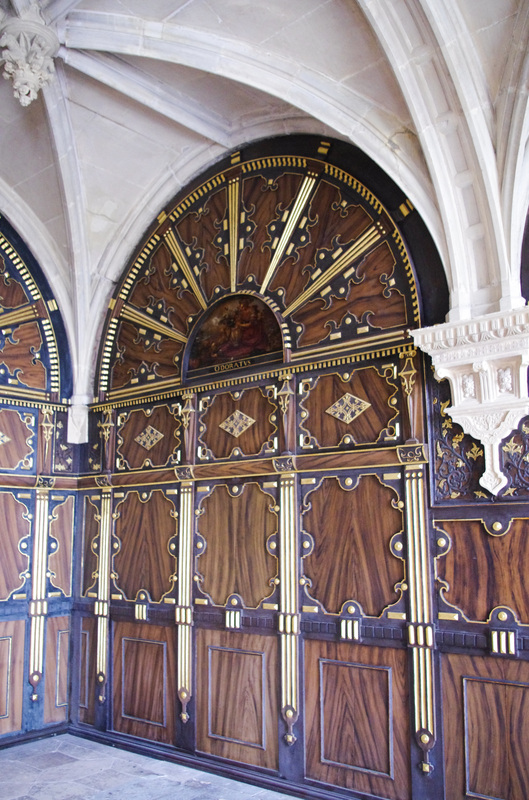 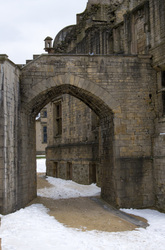 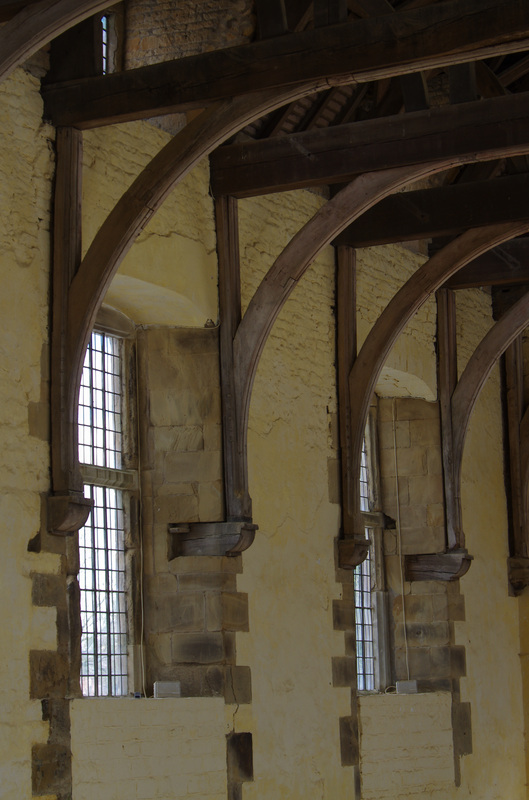 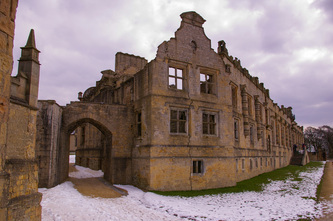 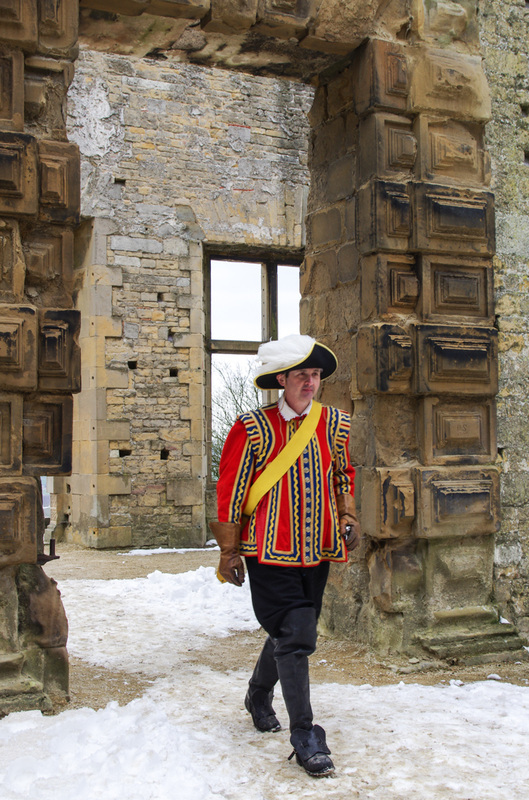 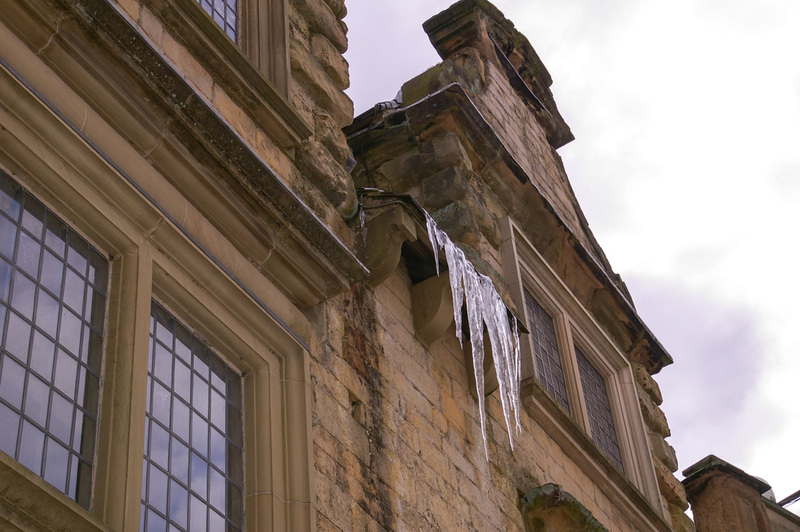 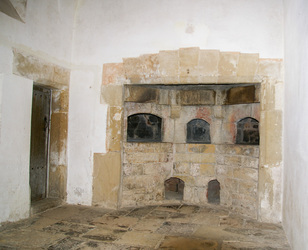 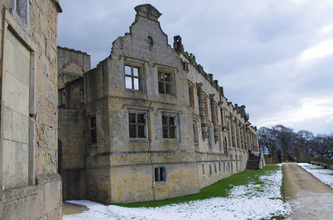 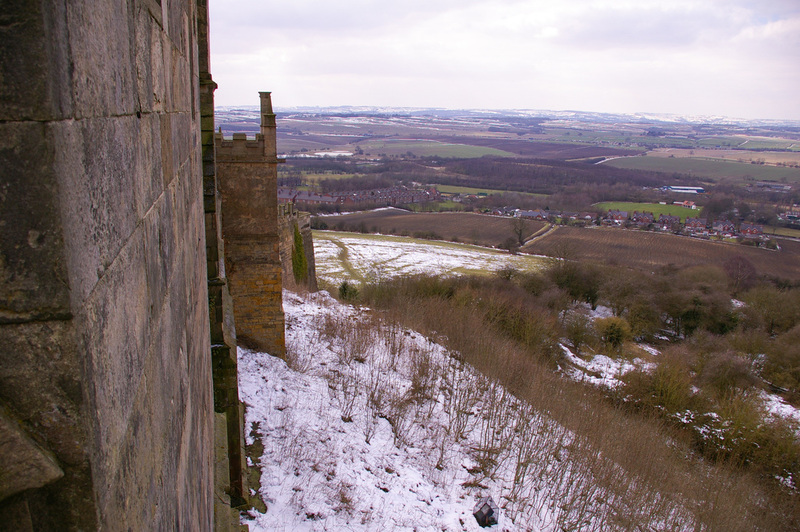 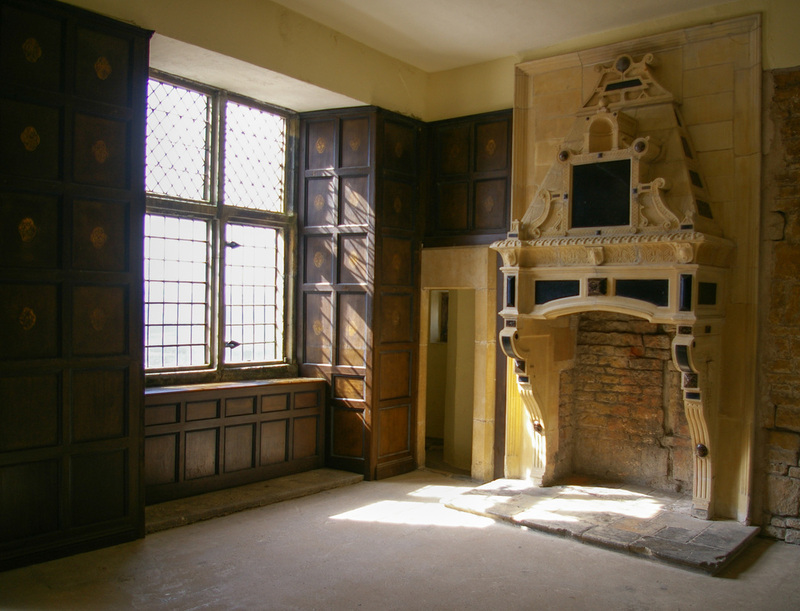 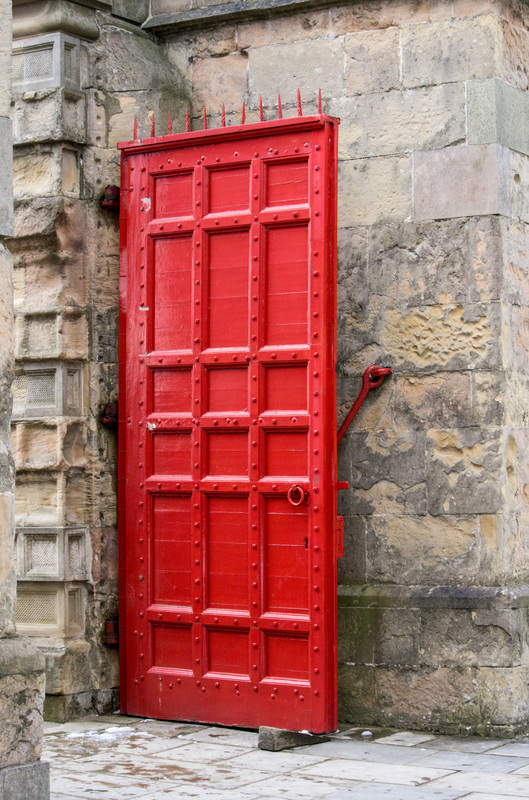 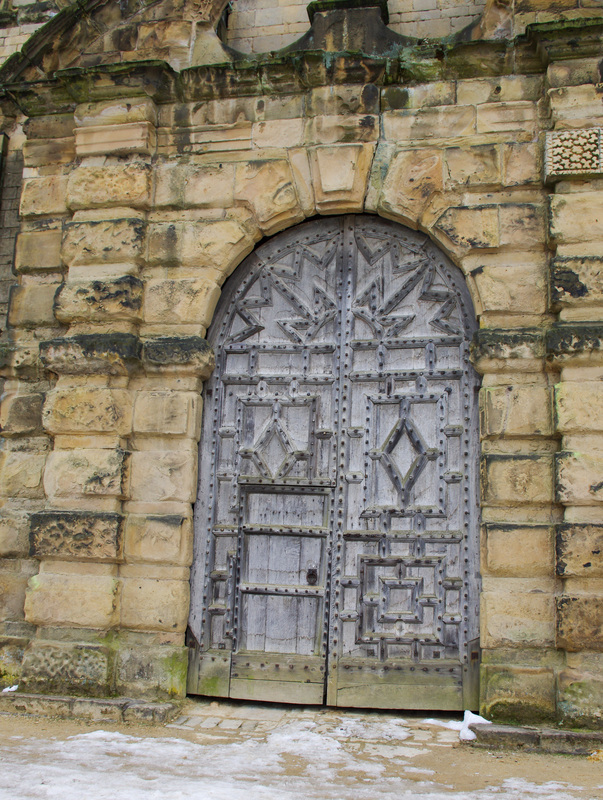 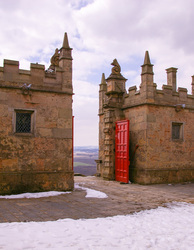 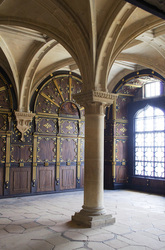 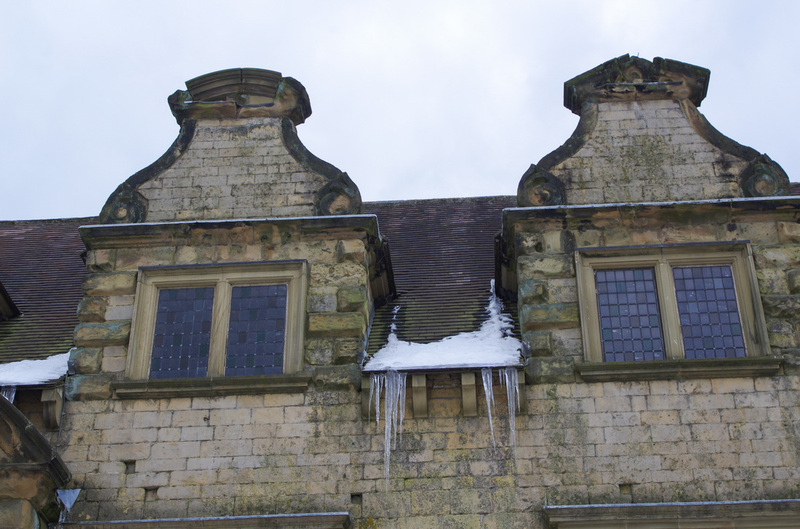 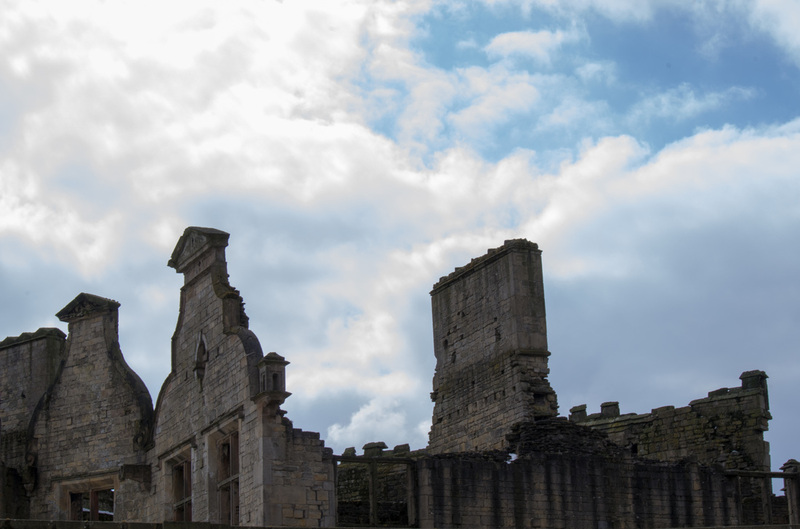 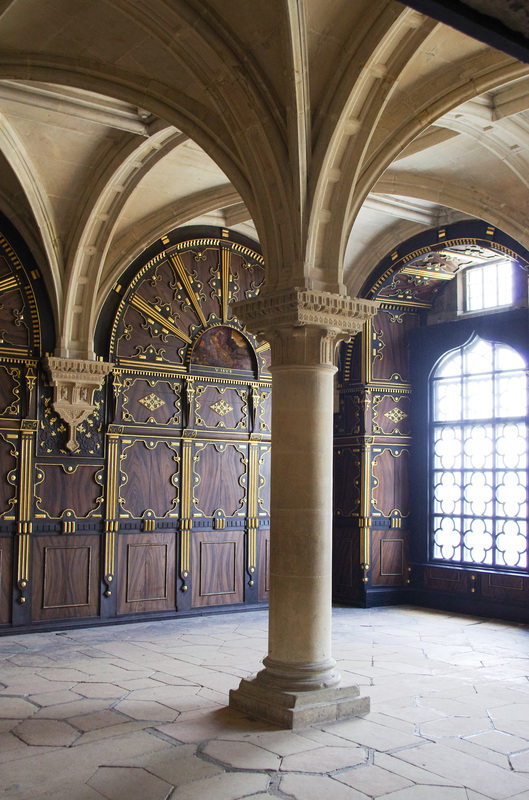 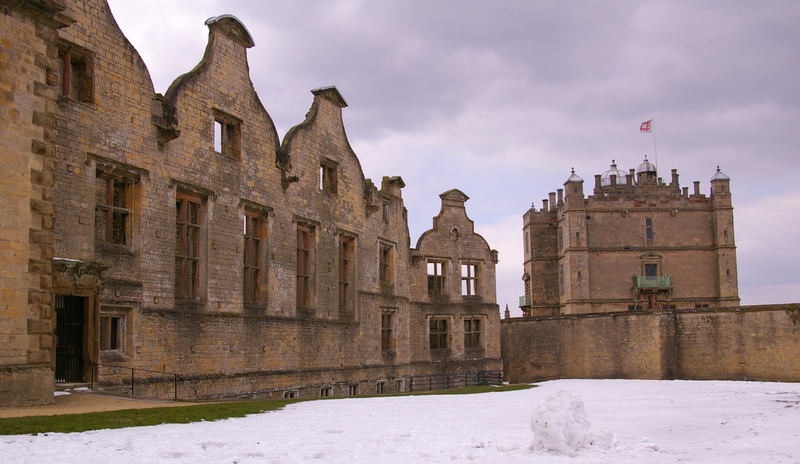 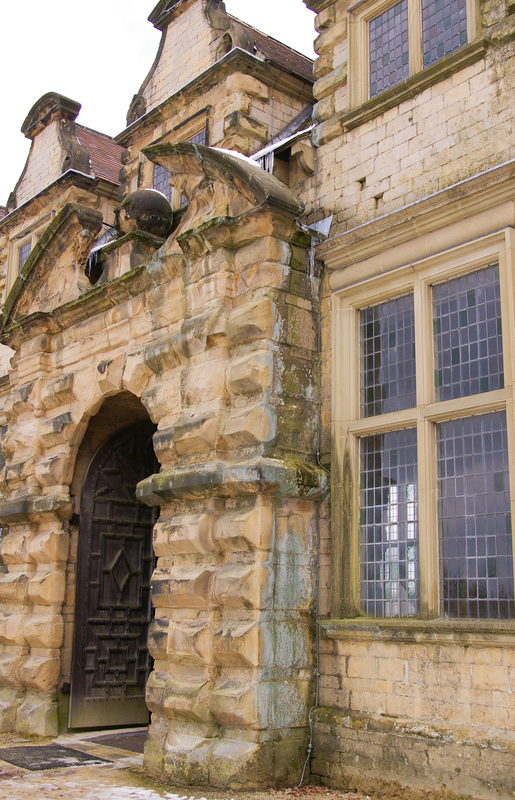 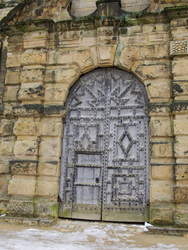 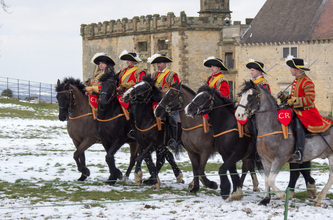 Having no plans to attend the Sealed Knot Muster at Basing House we decided to visit Bolsover Castle perched on top of the hill above the town, just of the M1. 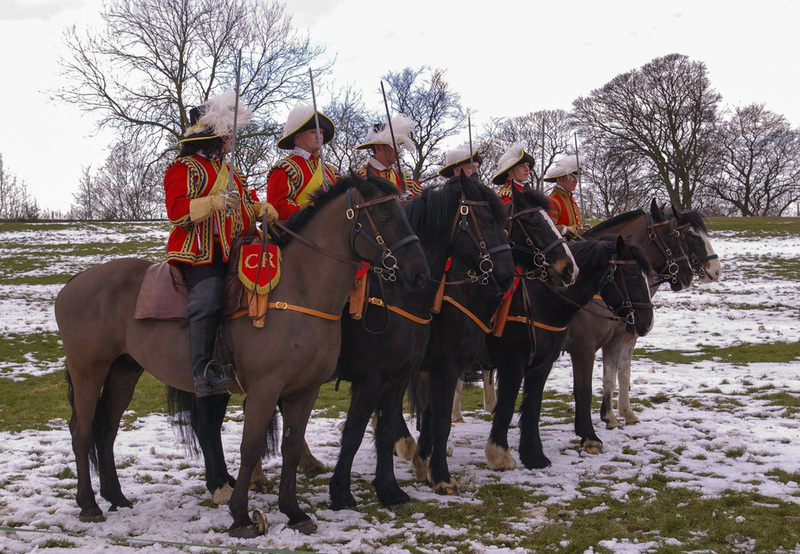 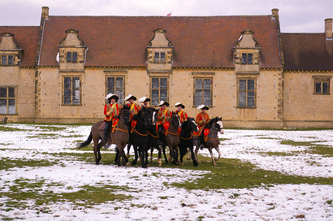 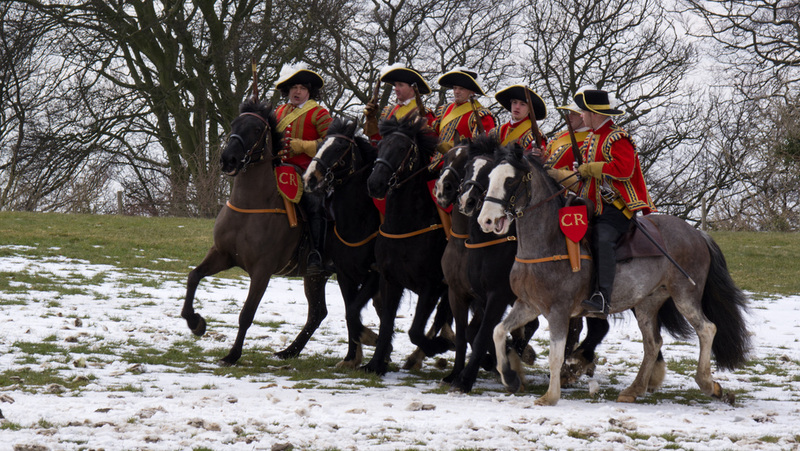 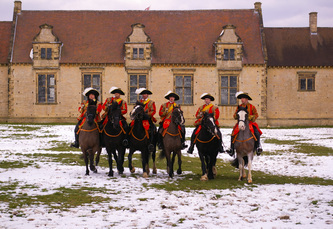 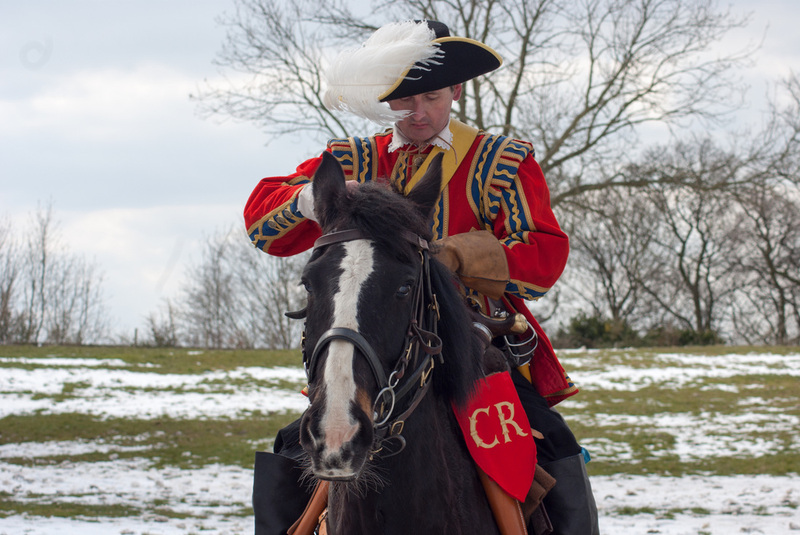 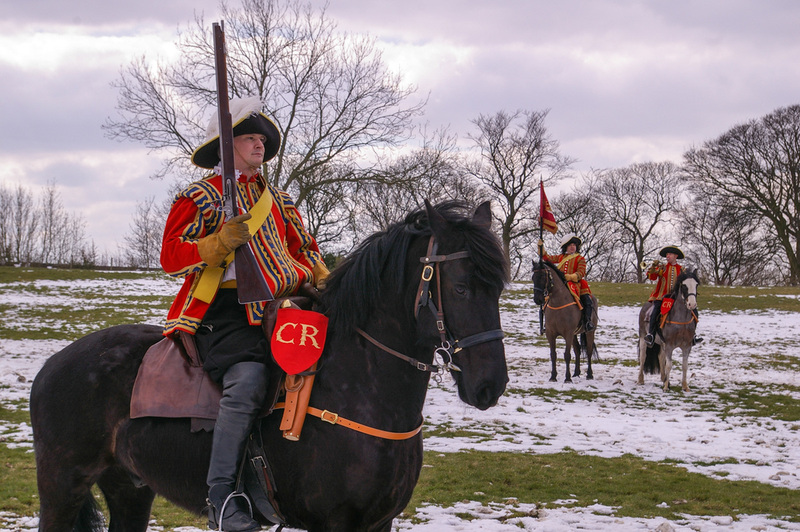 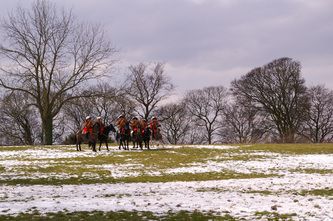 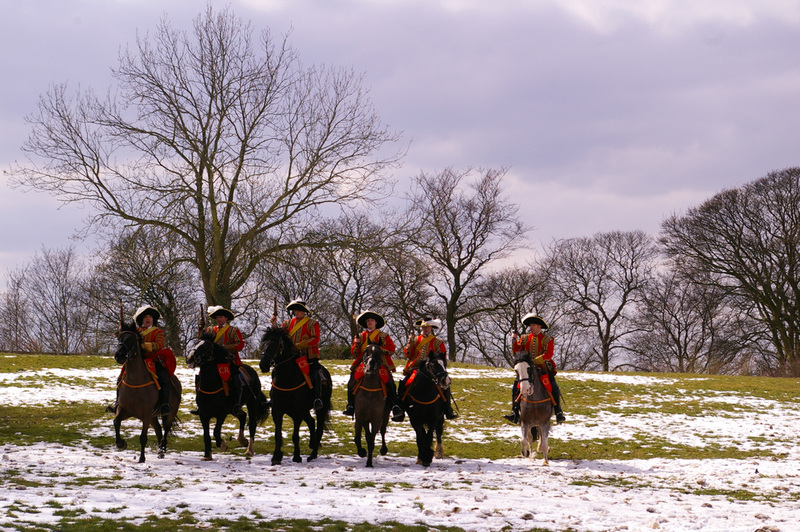 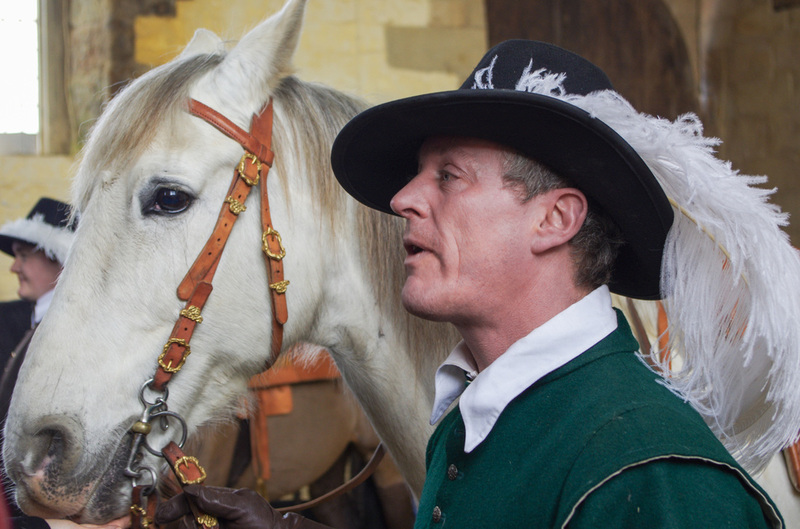 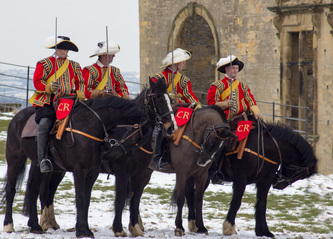 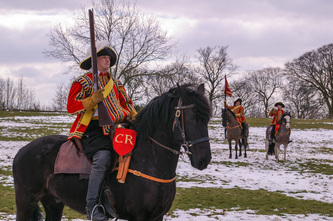 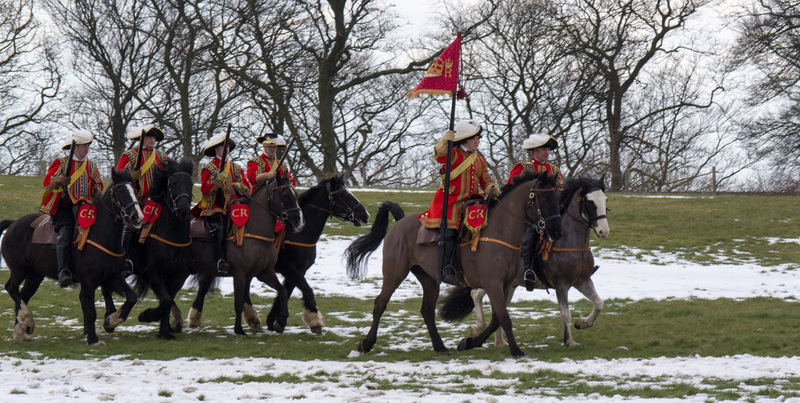 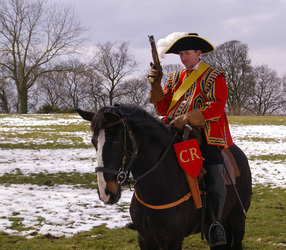 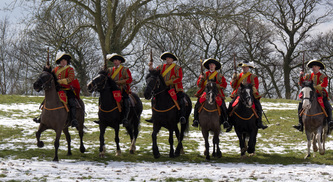 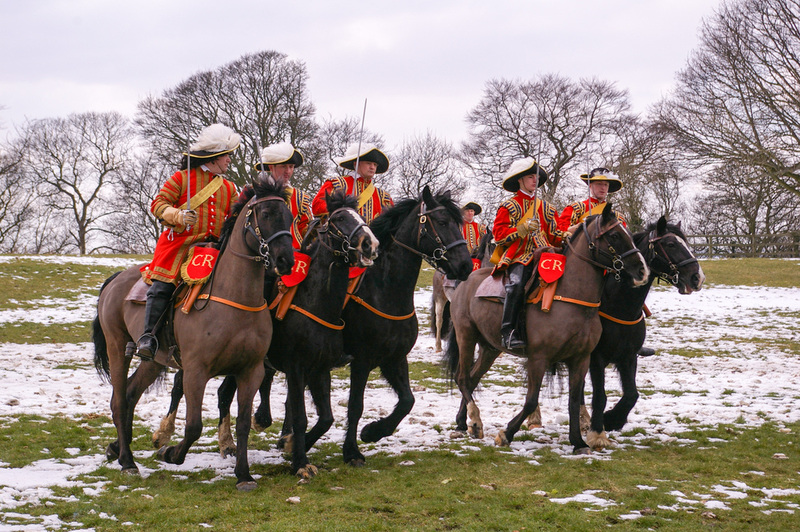 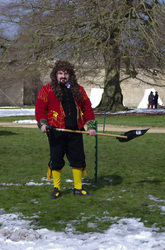 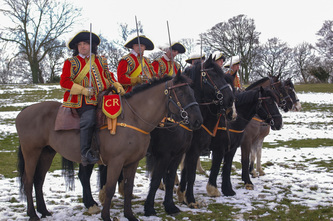 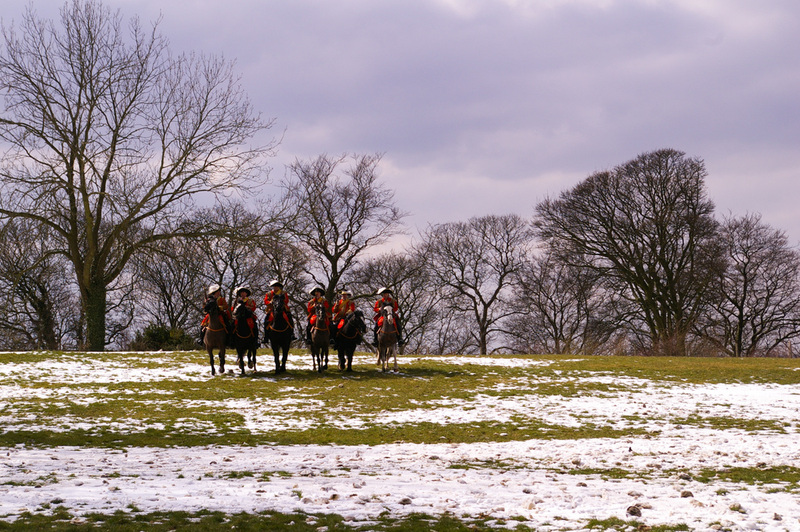 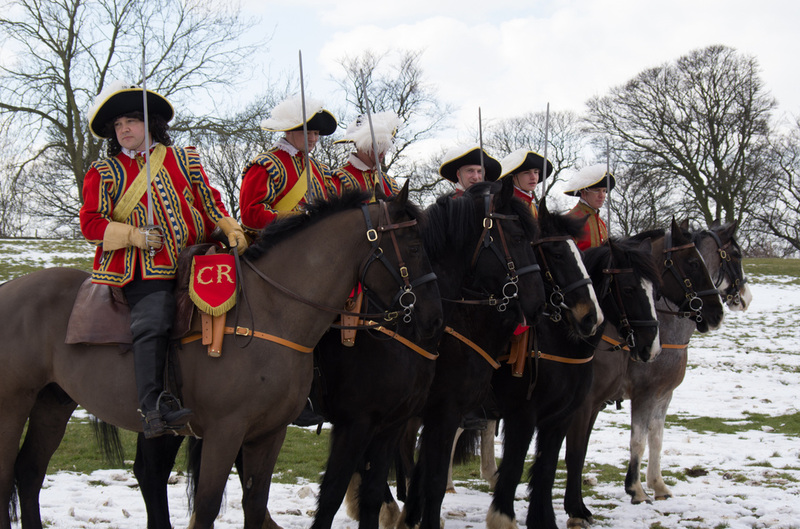 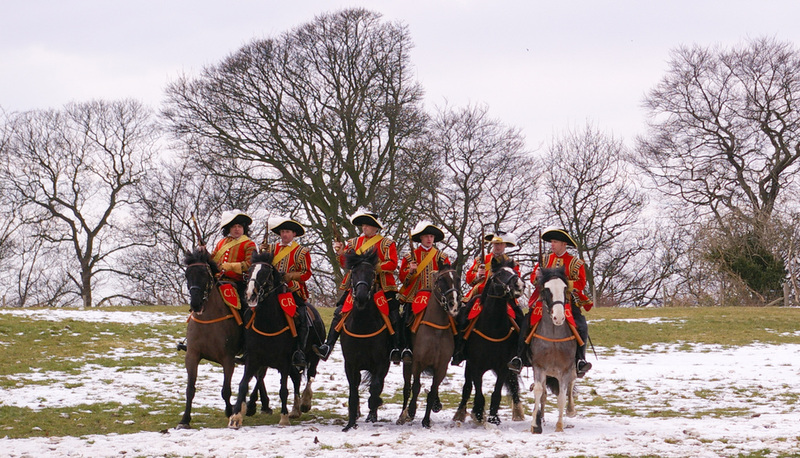 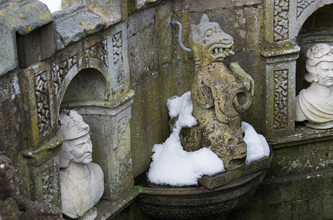 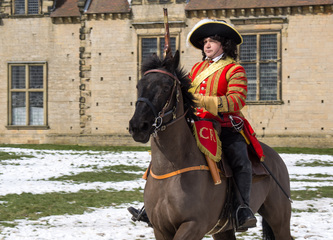 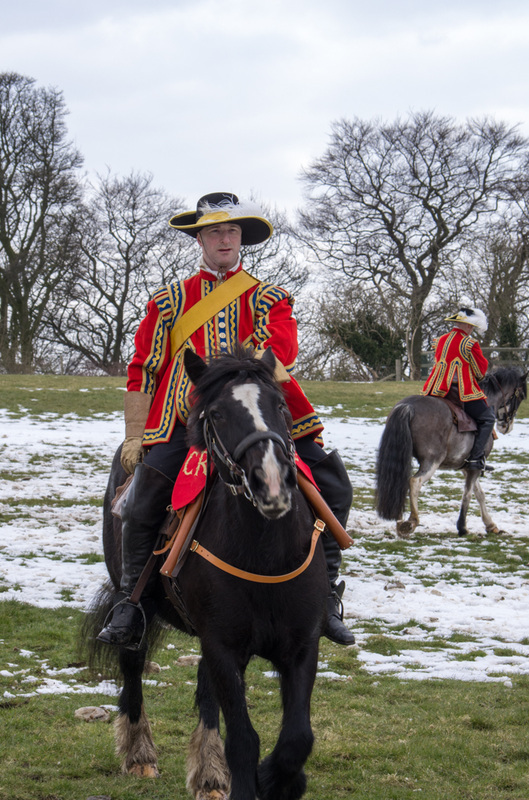 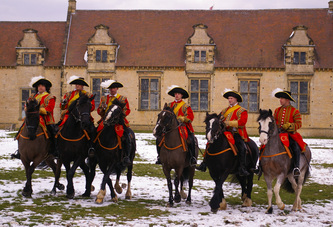 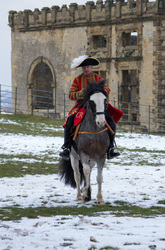 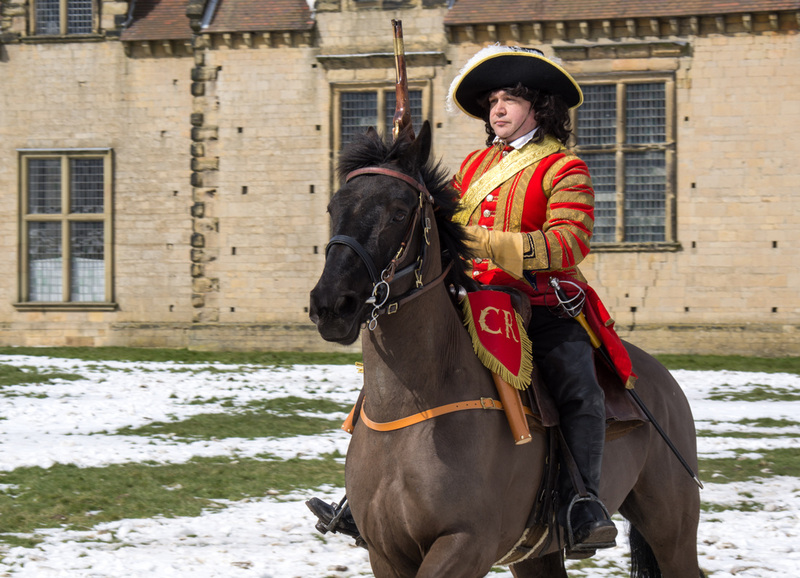 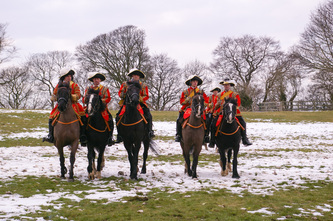 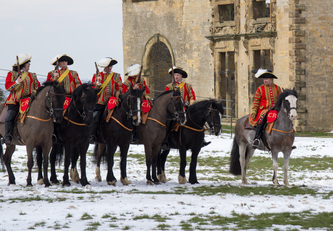 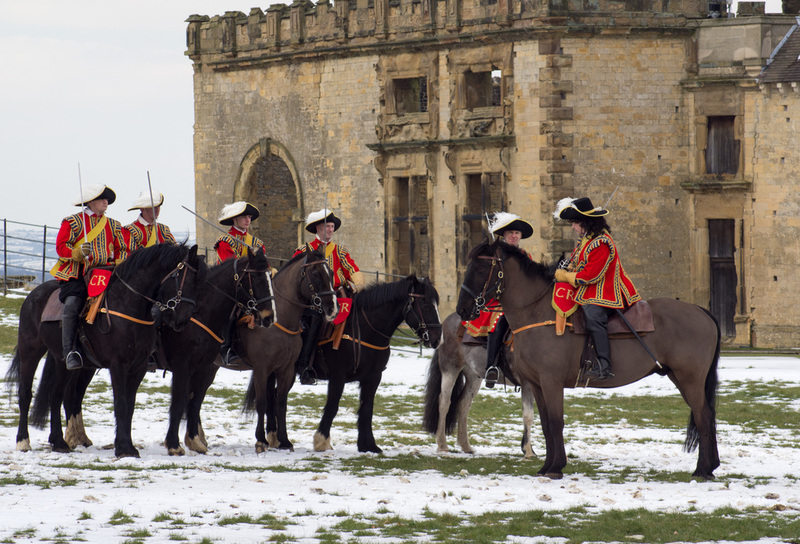 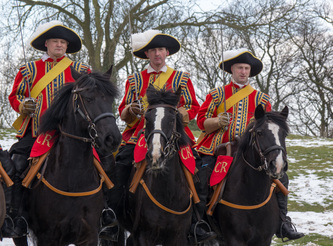 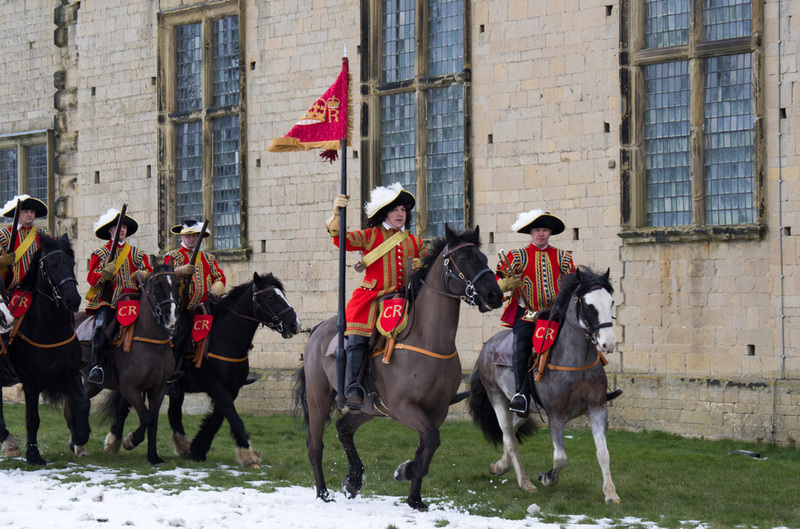 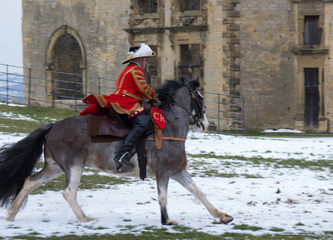 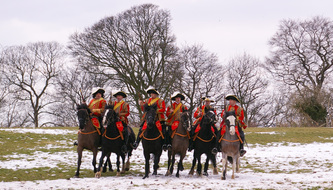 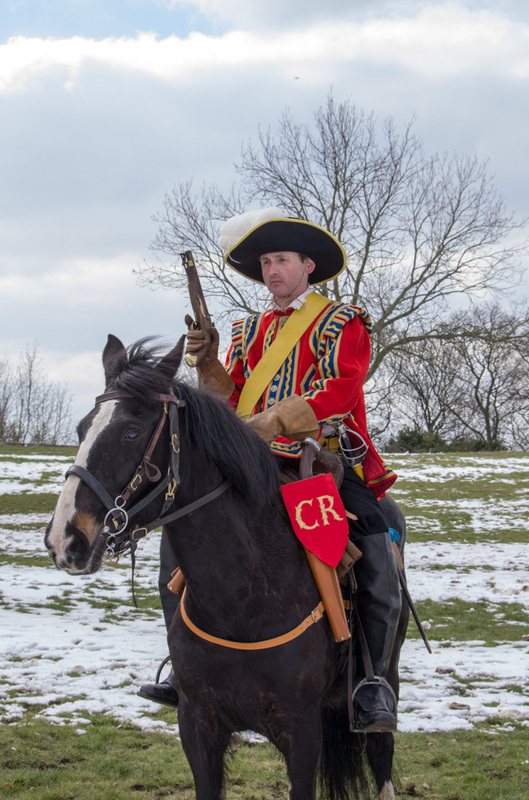 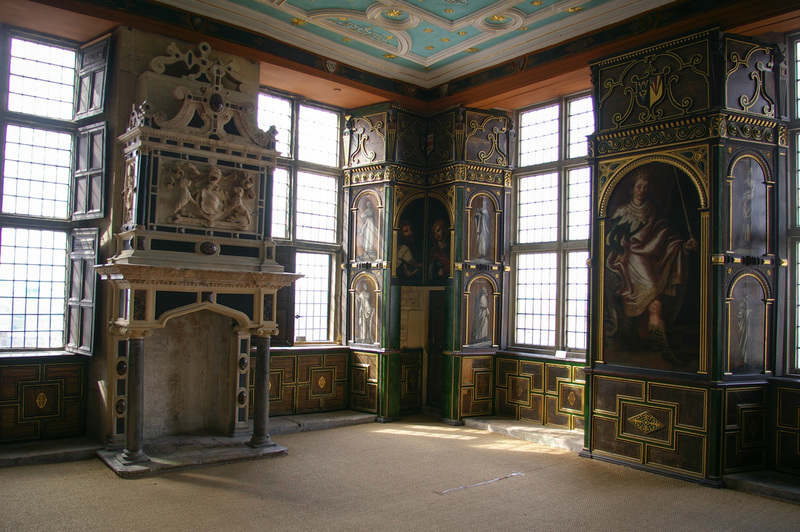 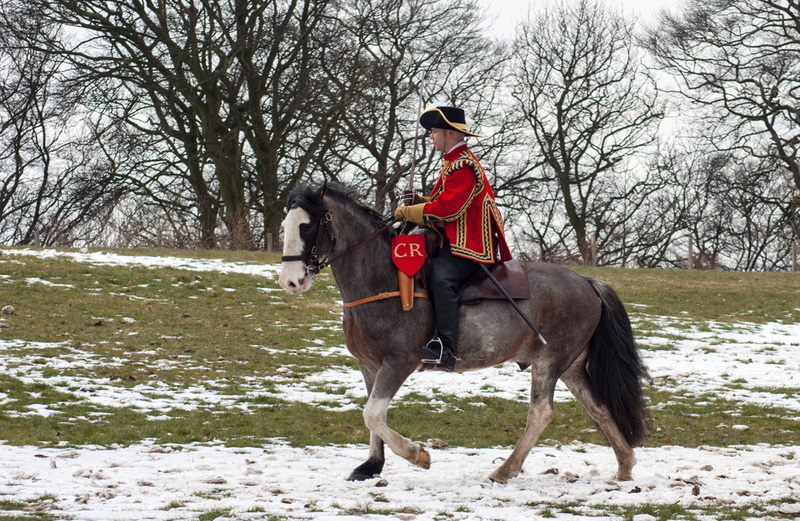 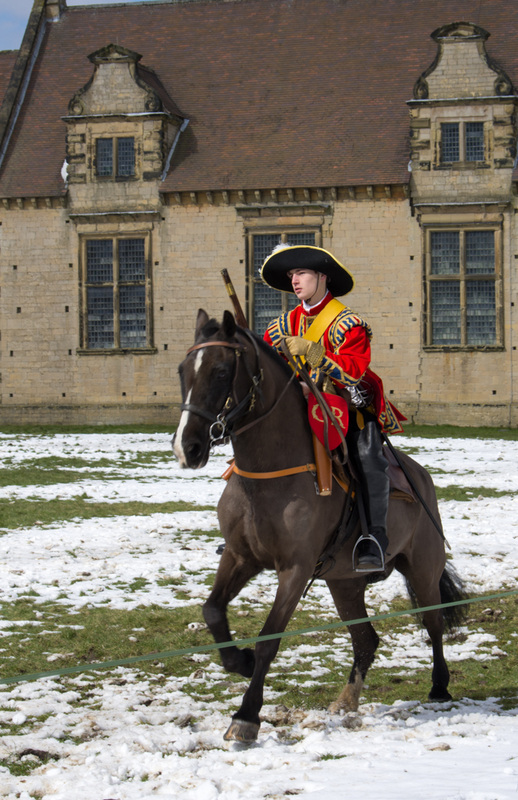 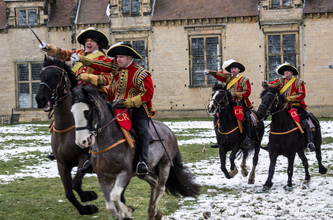 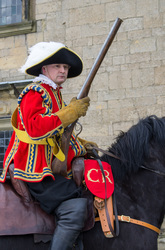 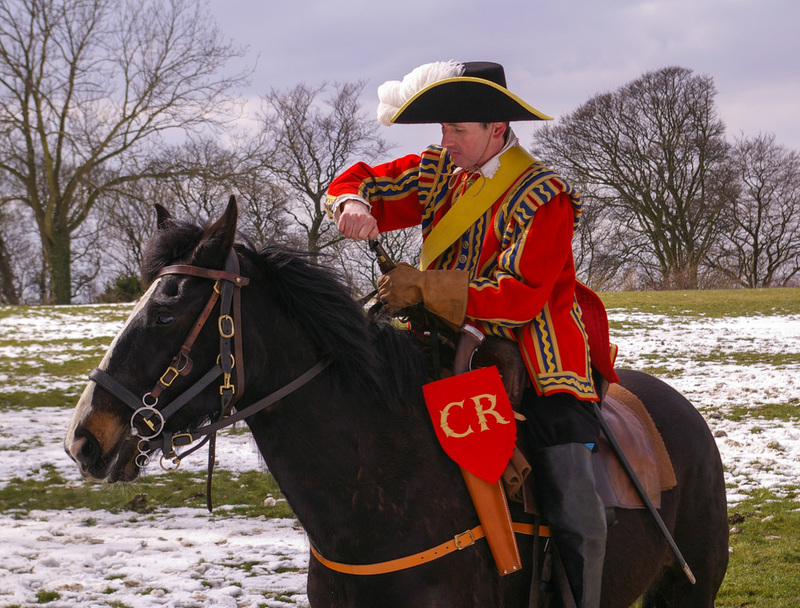 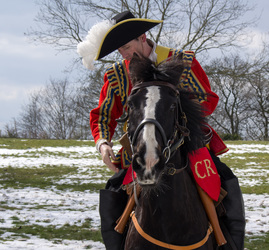 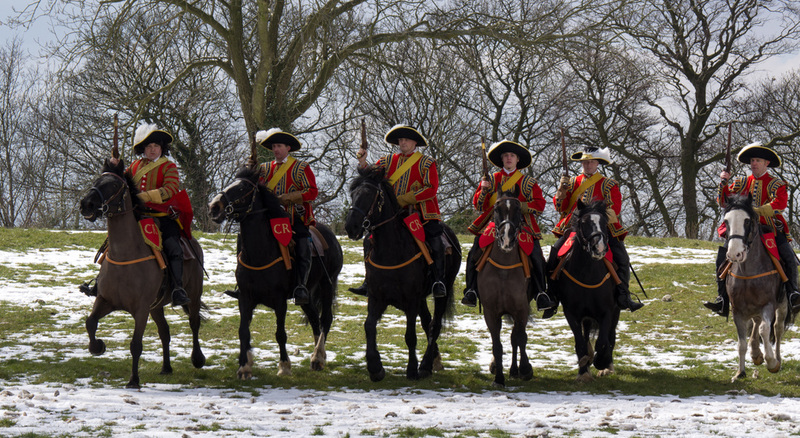 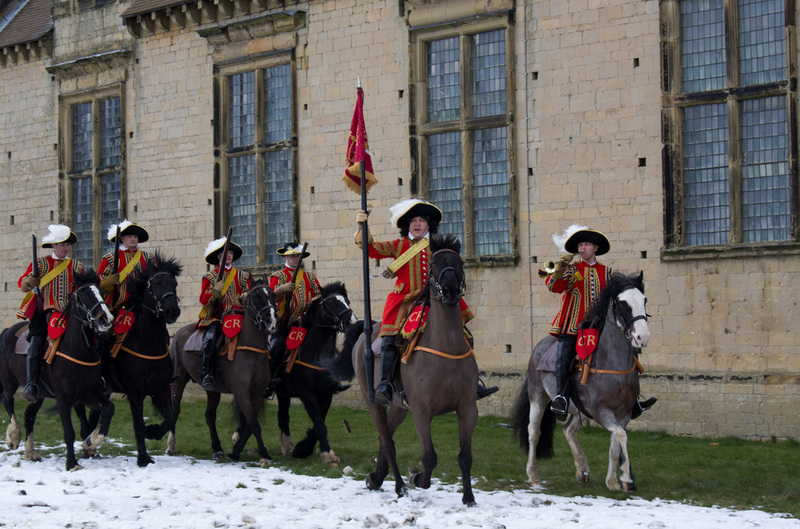 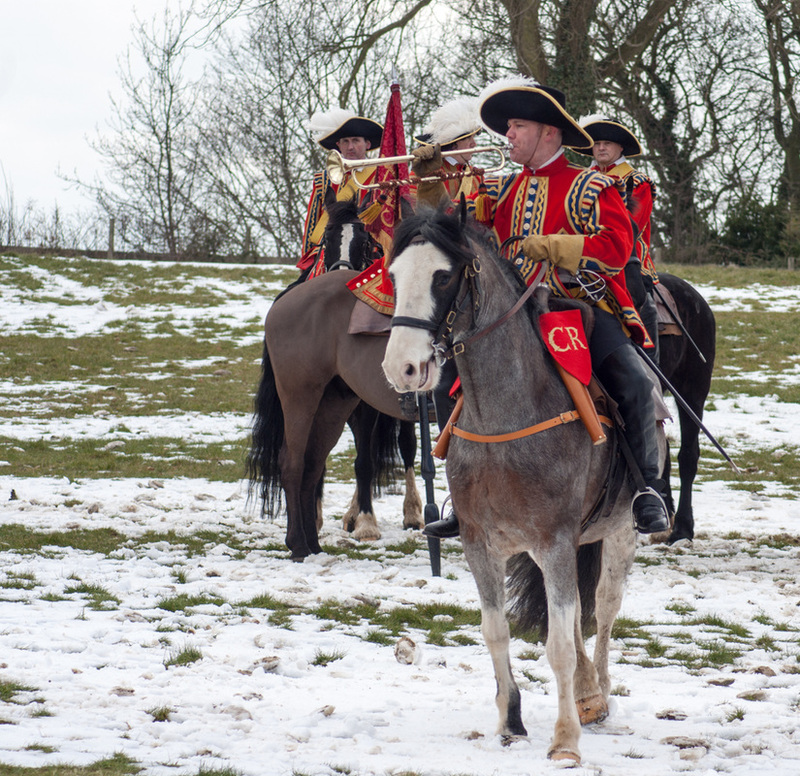 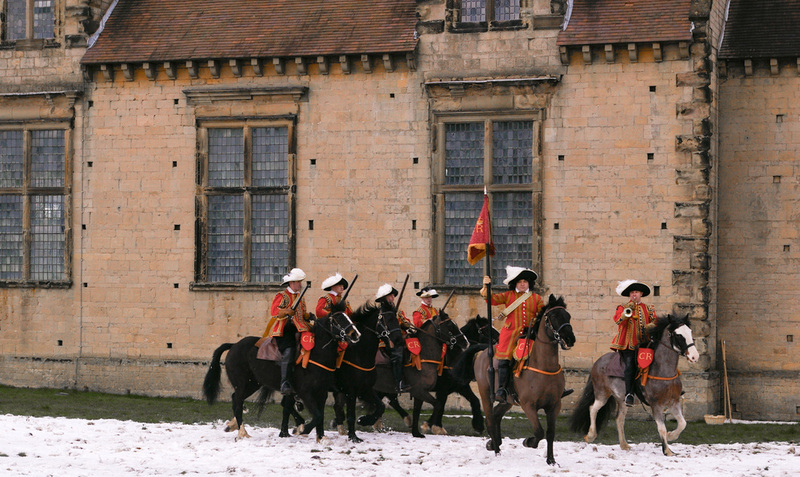 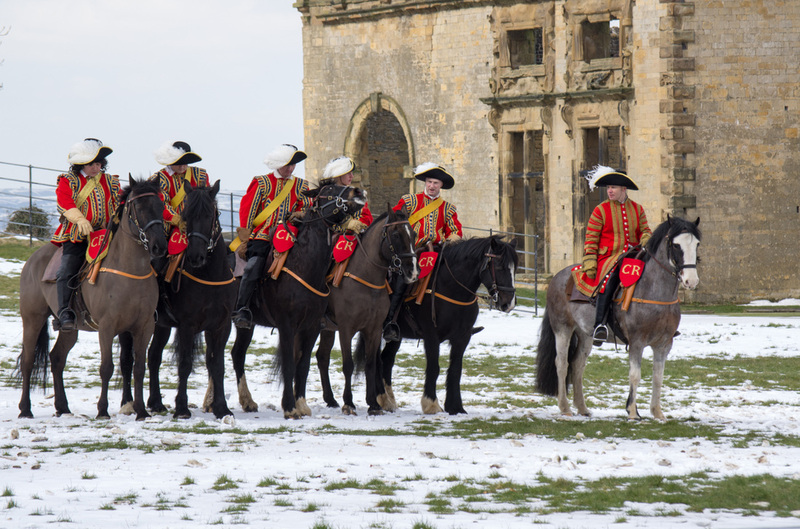 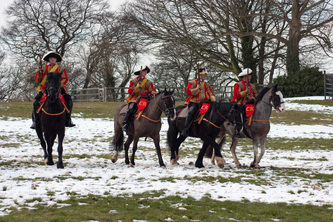 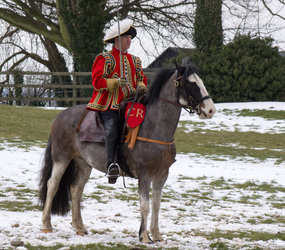 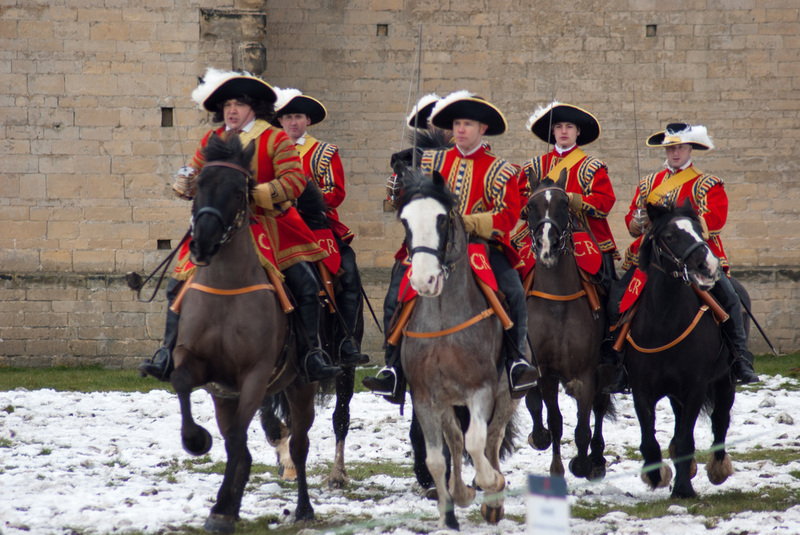 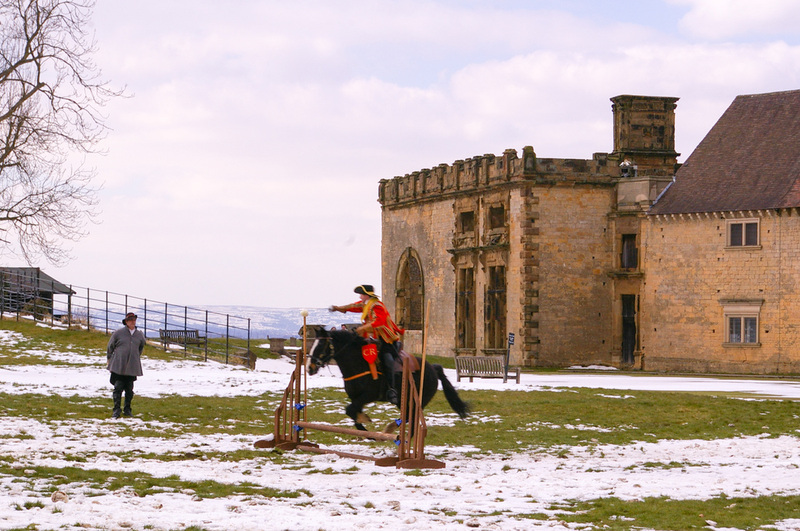 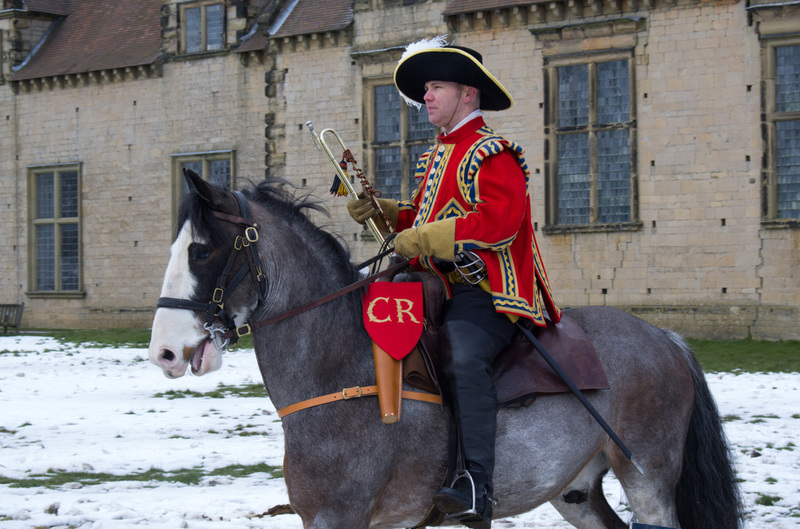 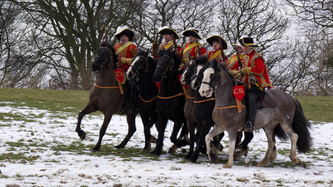 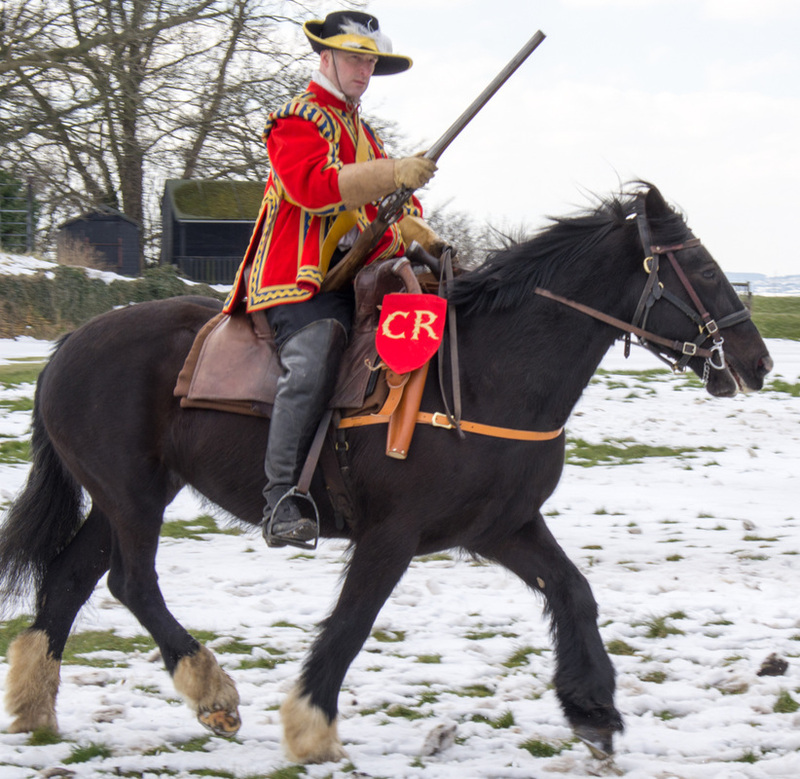 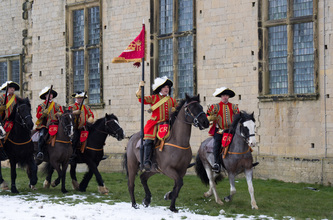 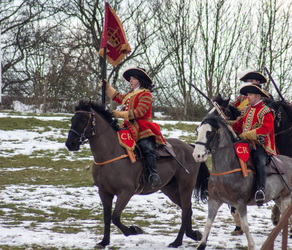 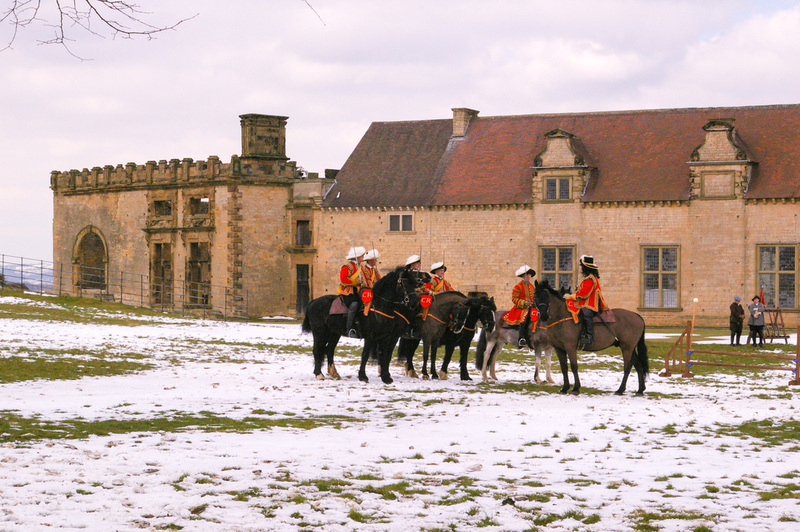 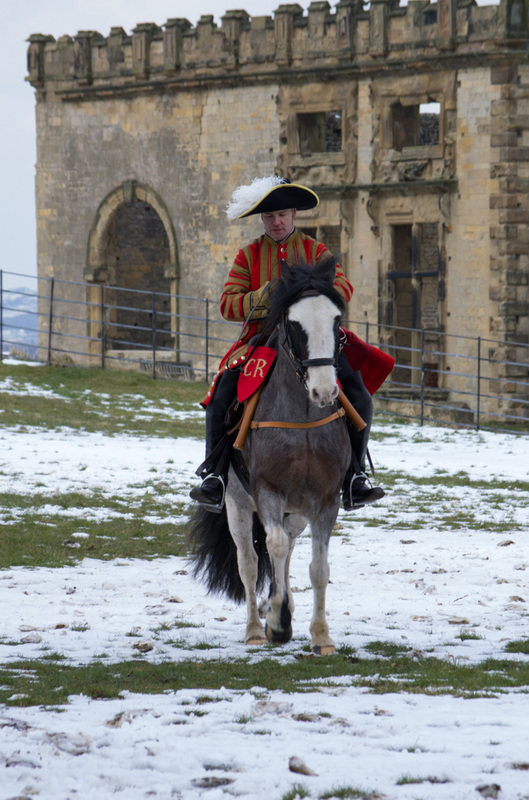 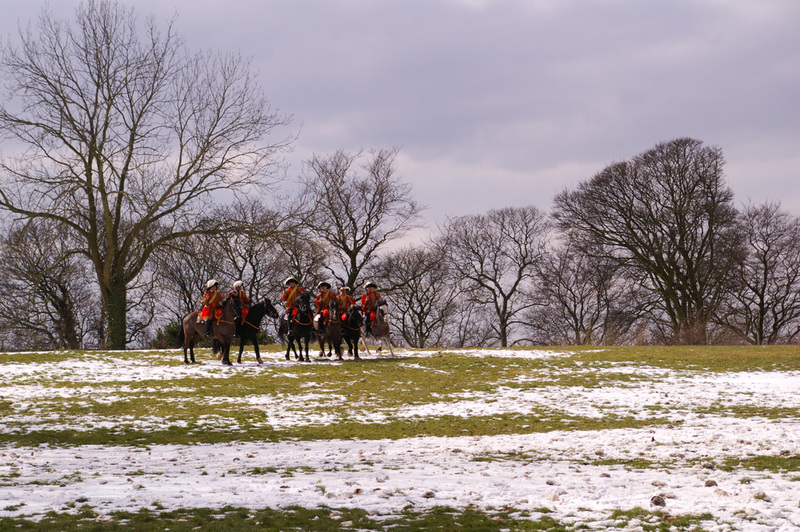 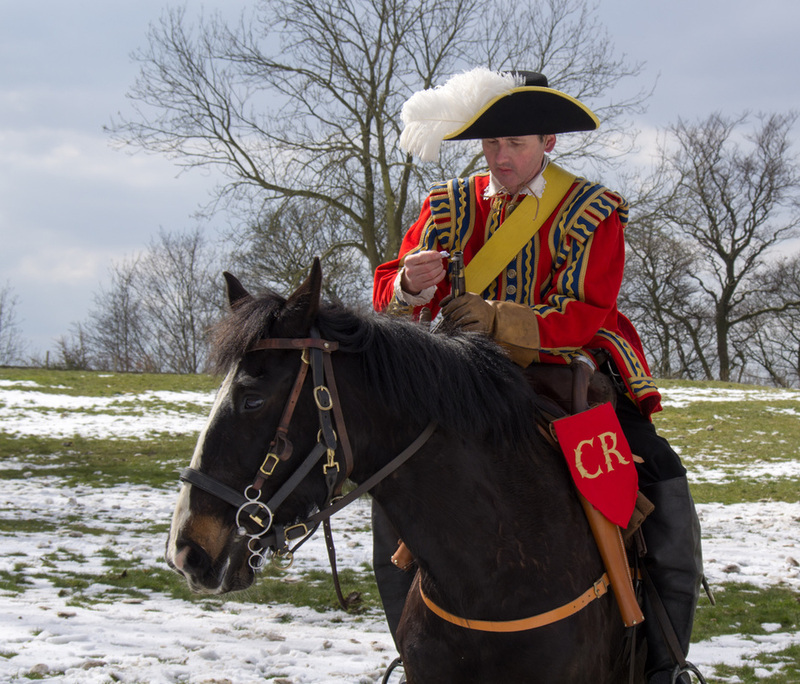 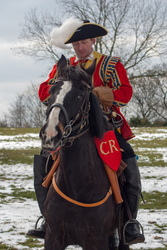 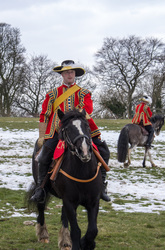 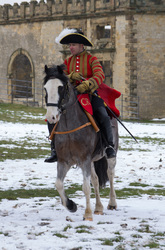 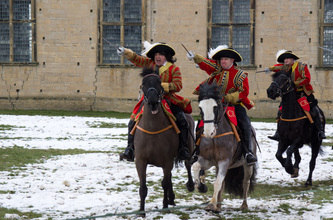 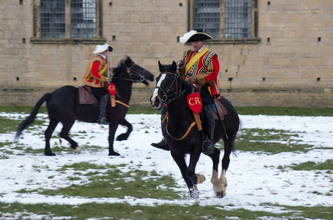 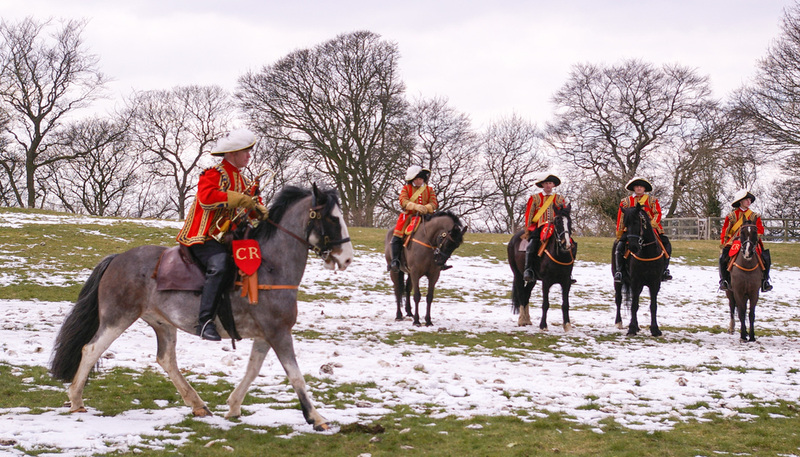 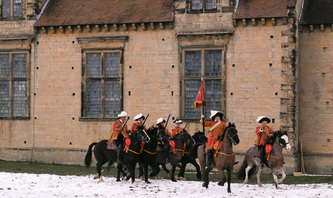 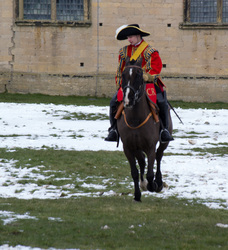 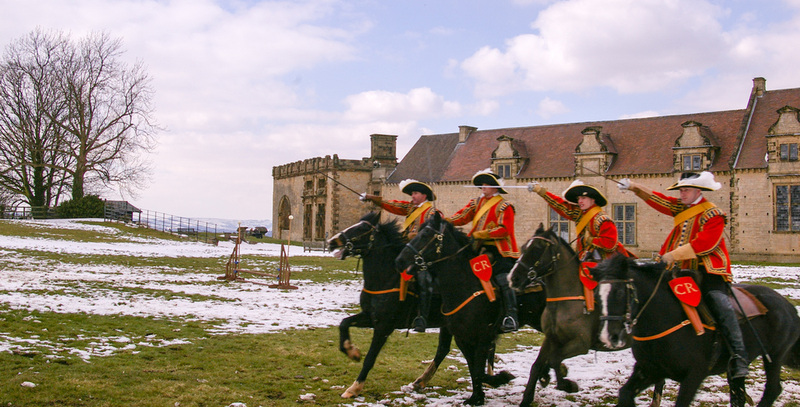 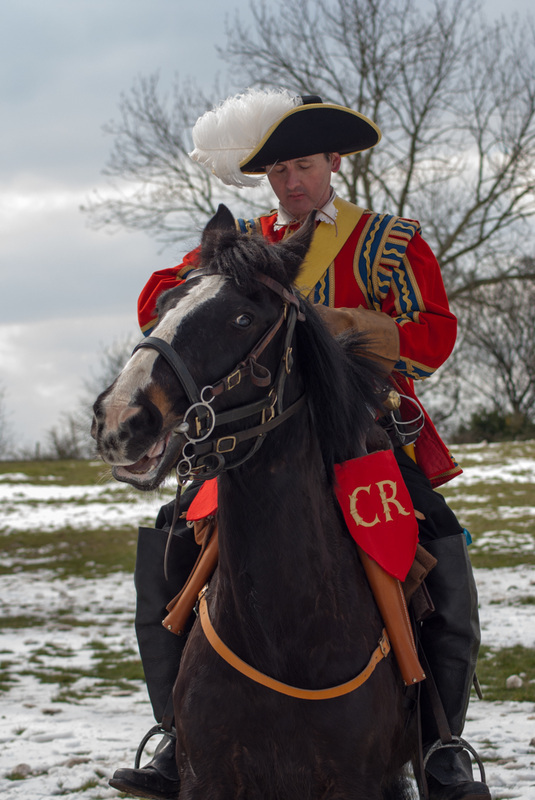 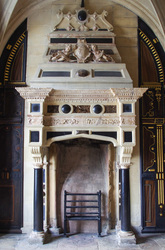 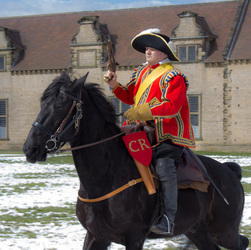 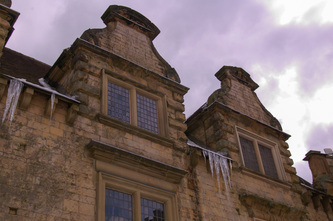 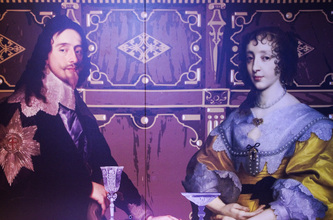 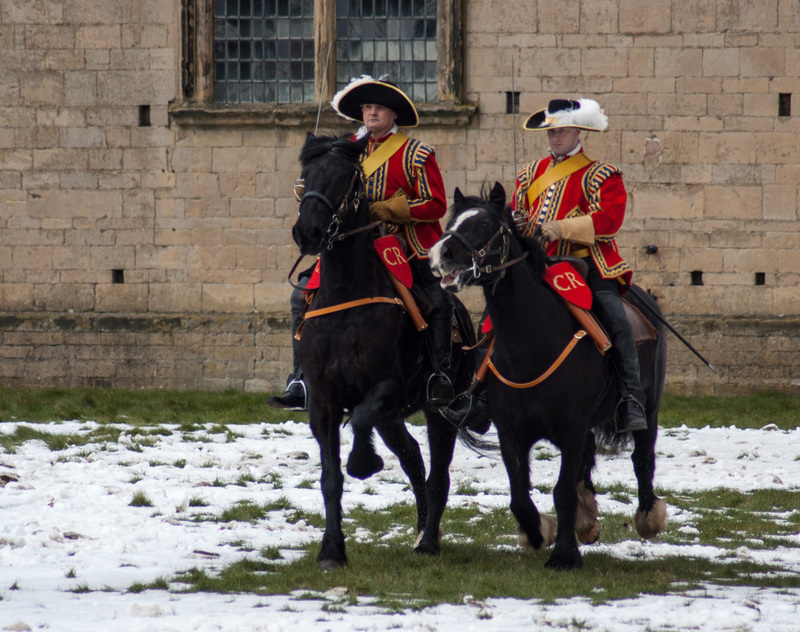 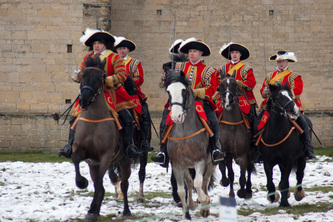 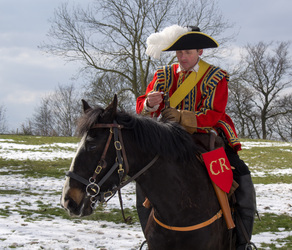 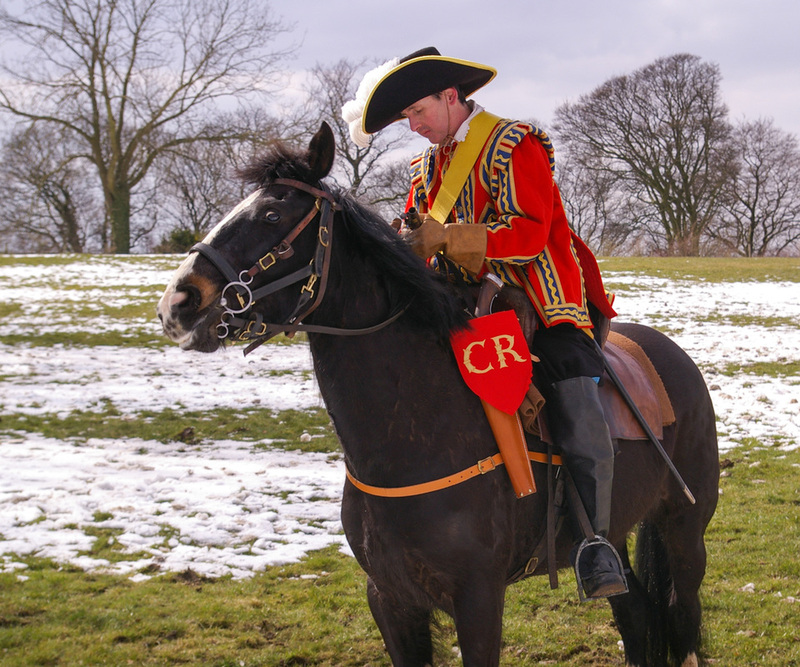 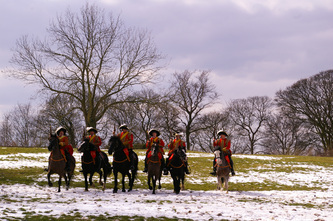 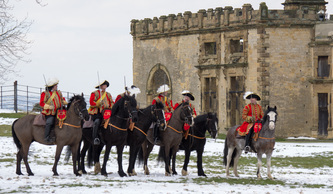 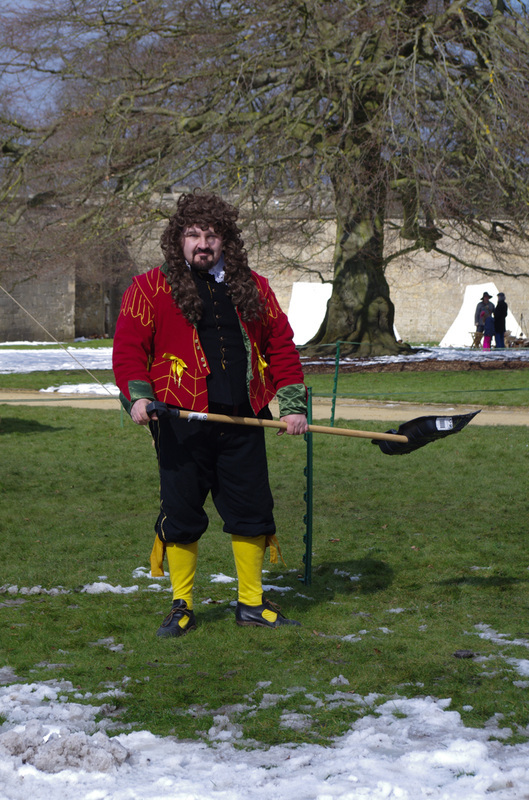 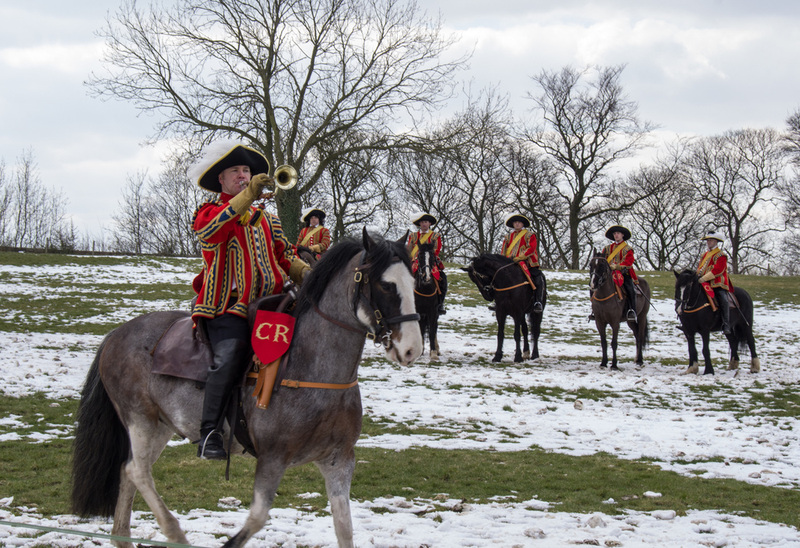 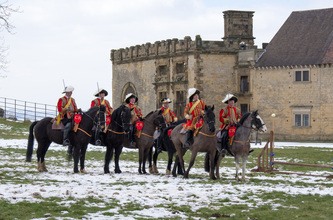 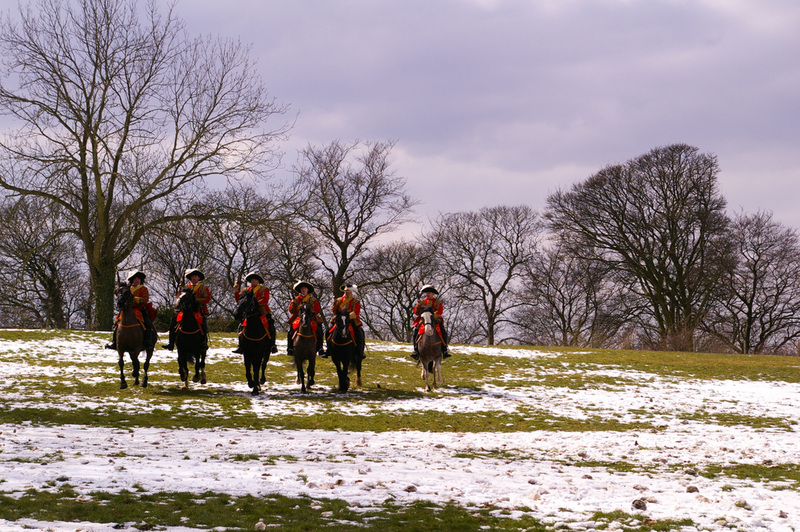 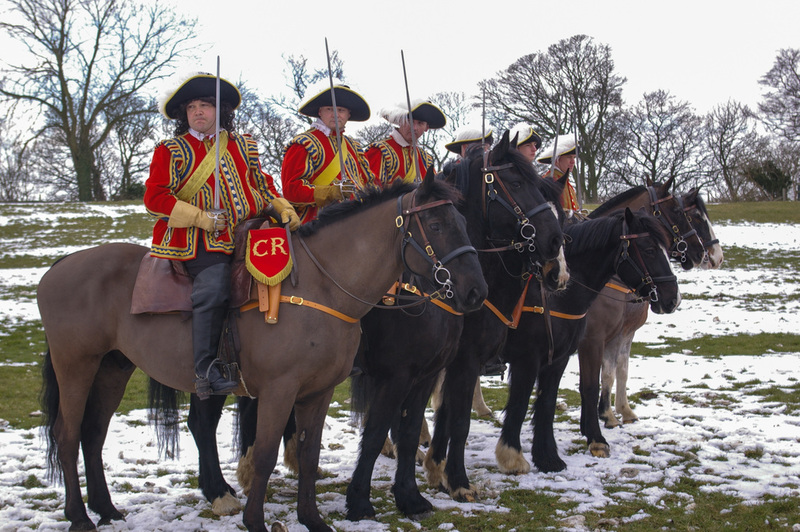 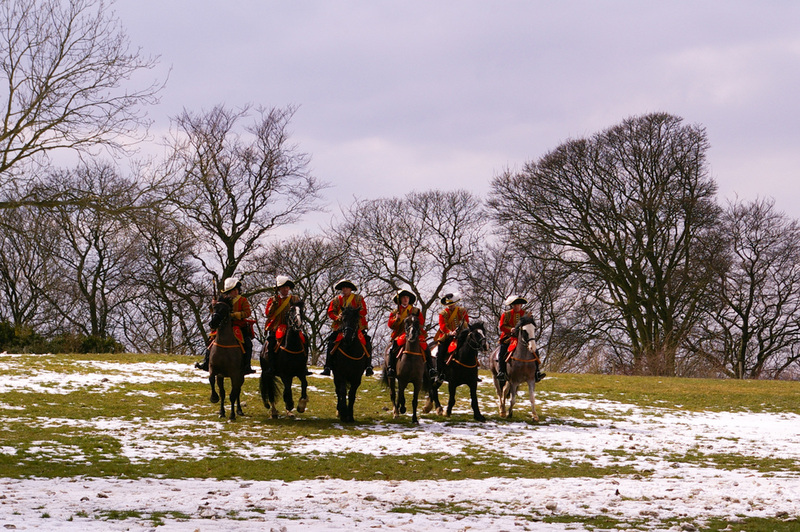 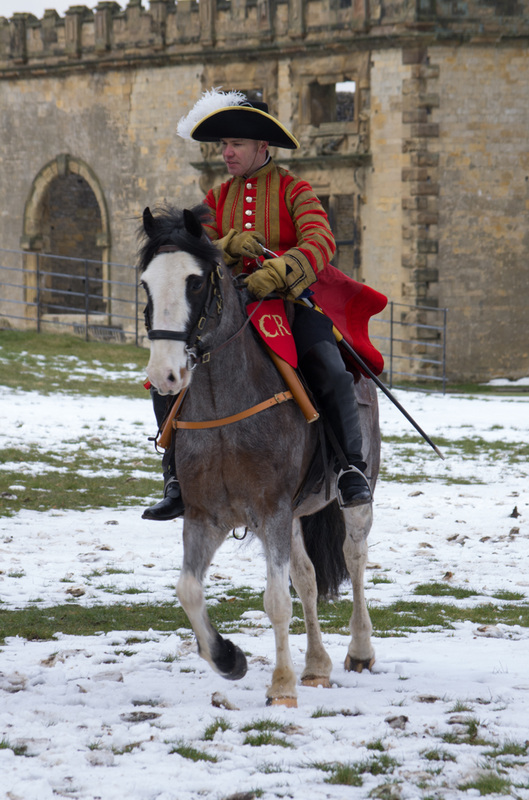 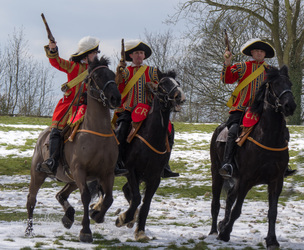 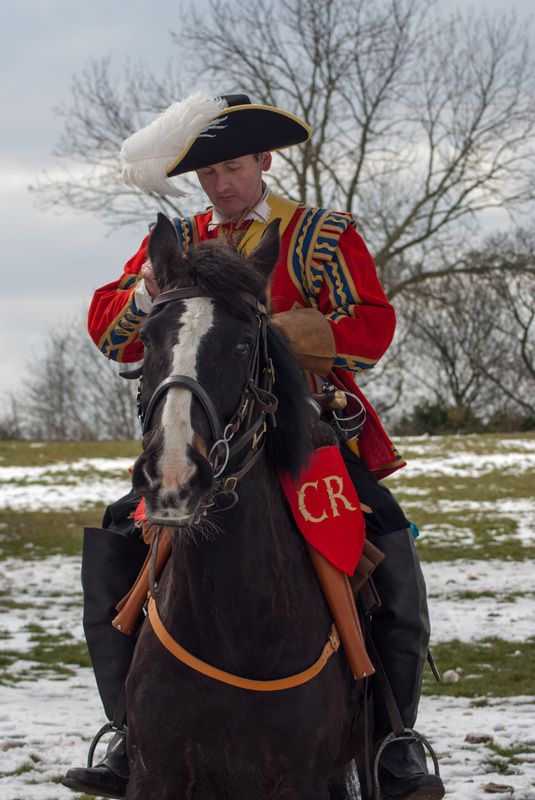 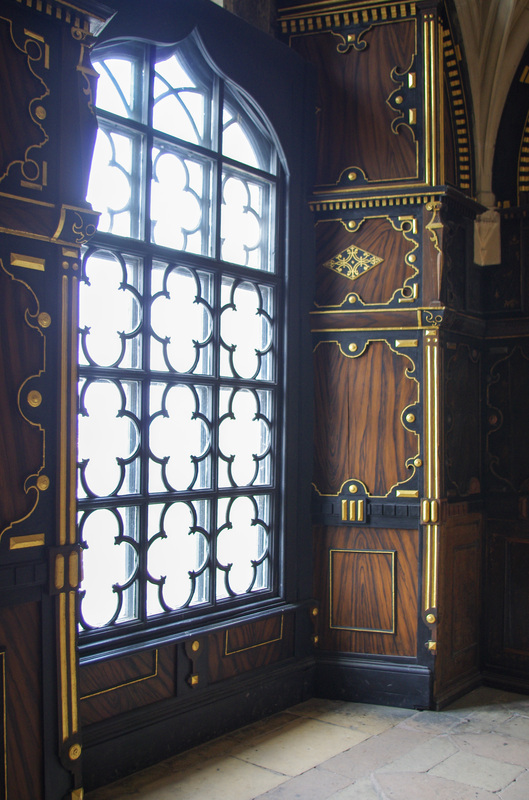 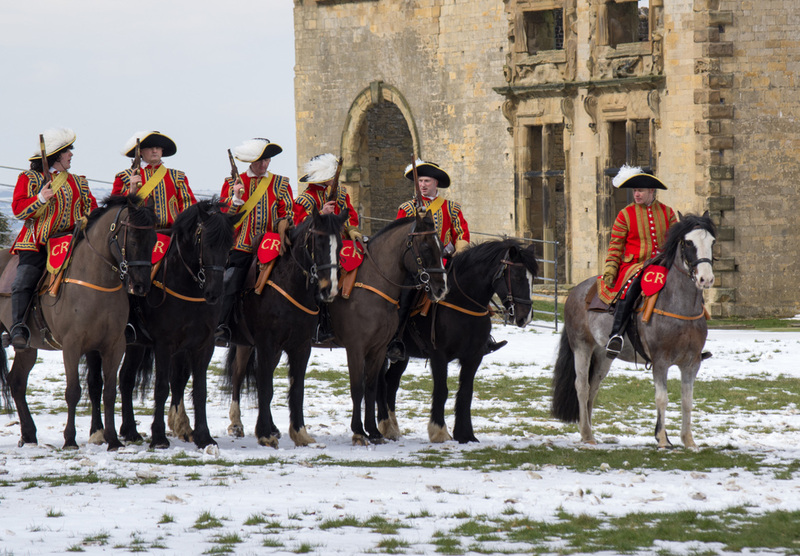 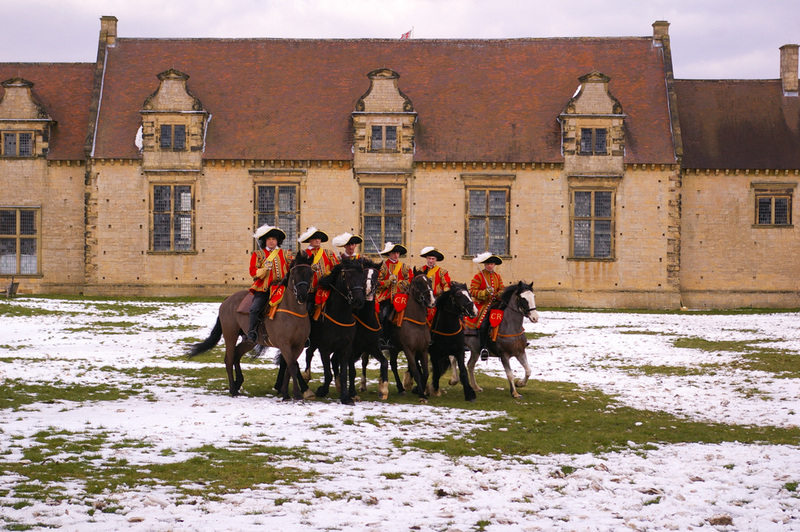 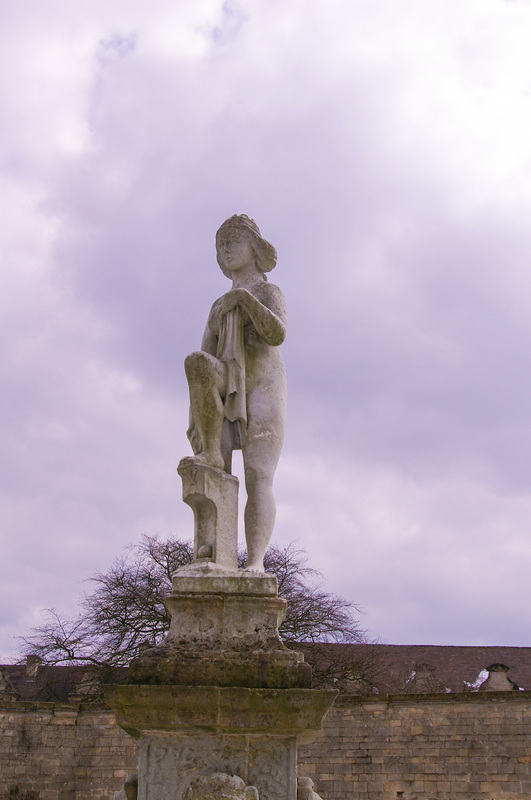 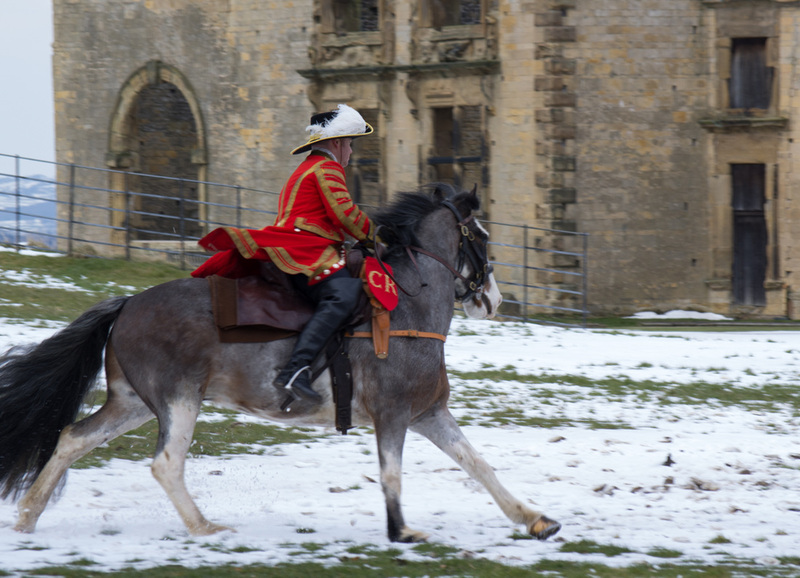 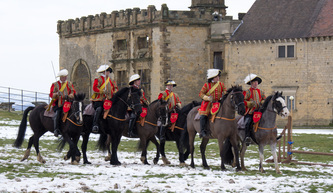 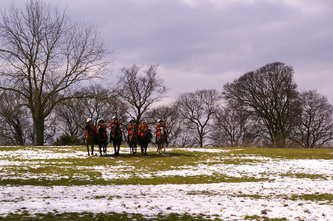 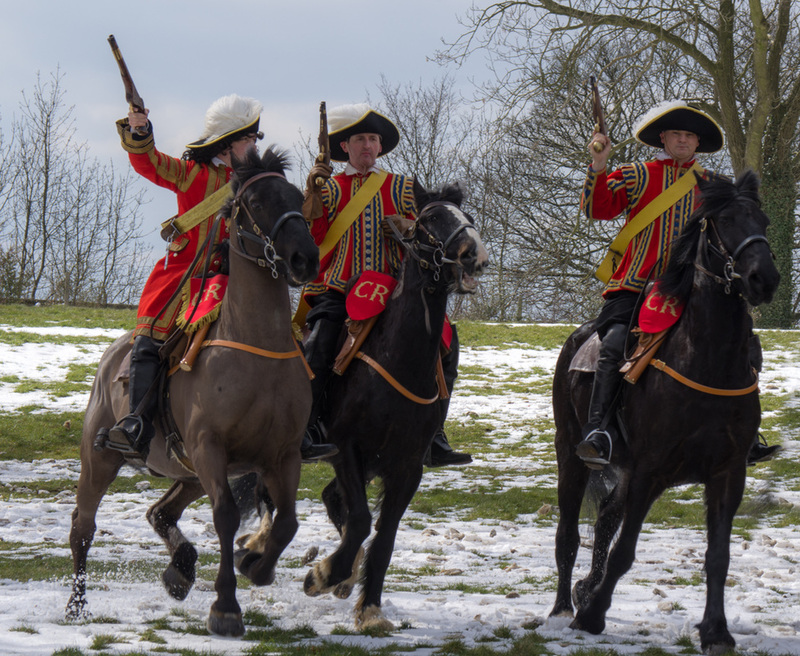 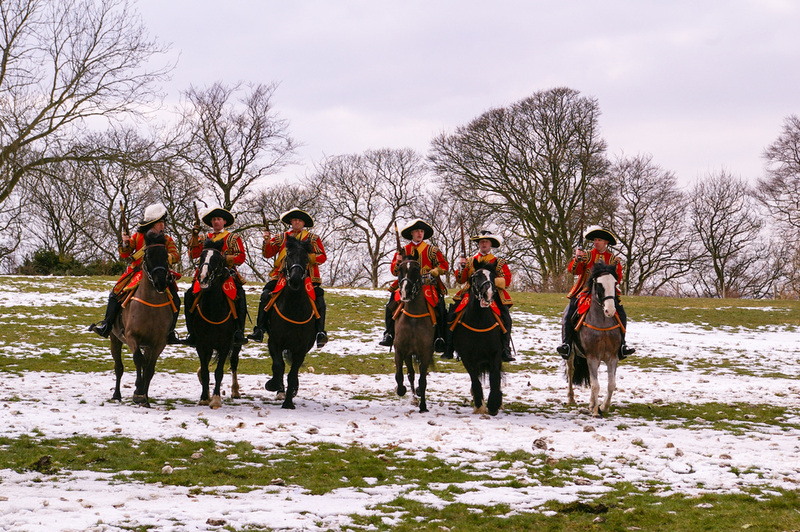 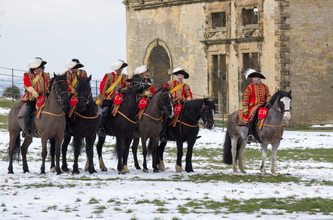 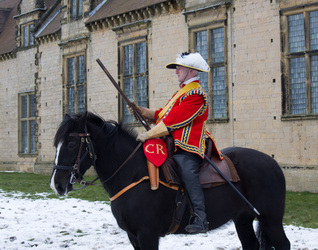 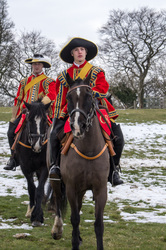 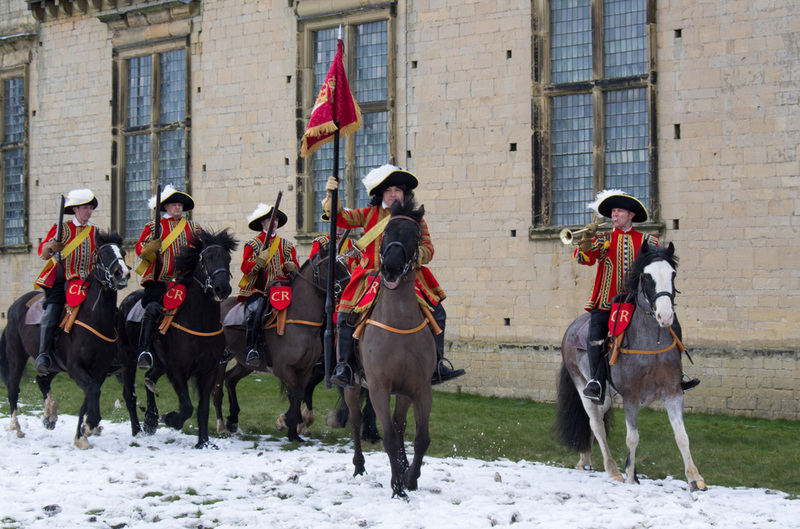 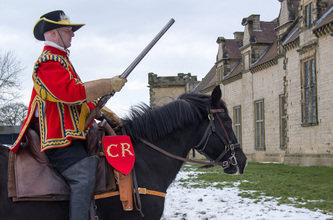 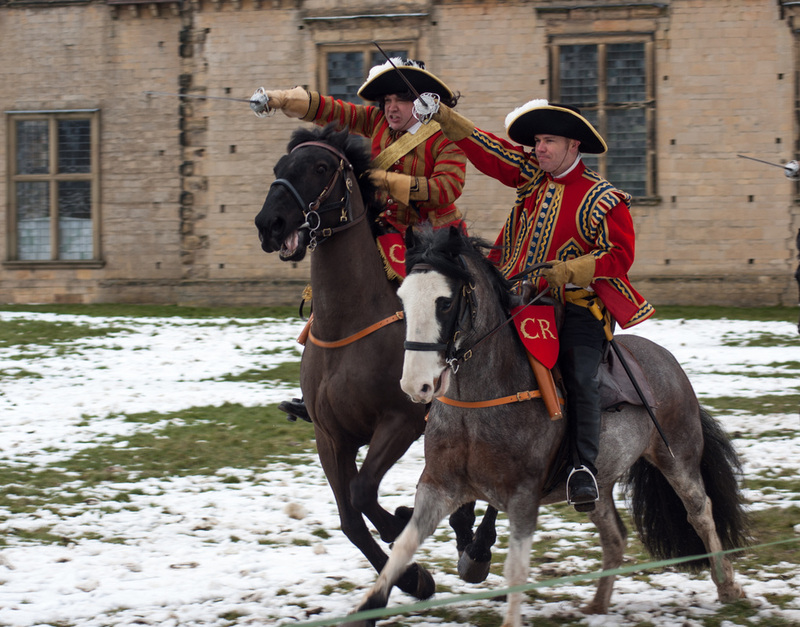 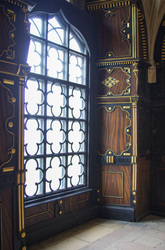 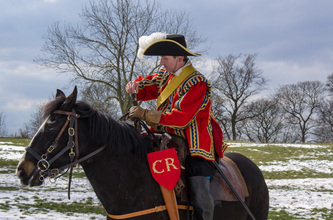 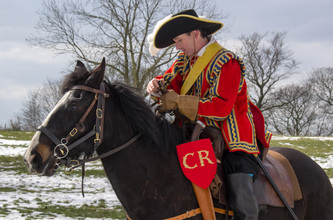 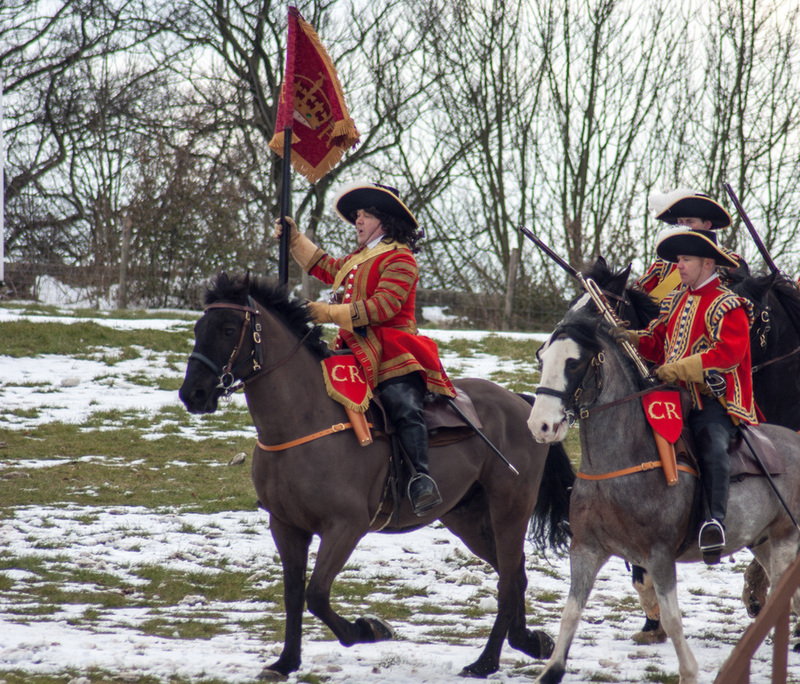 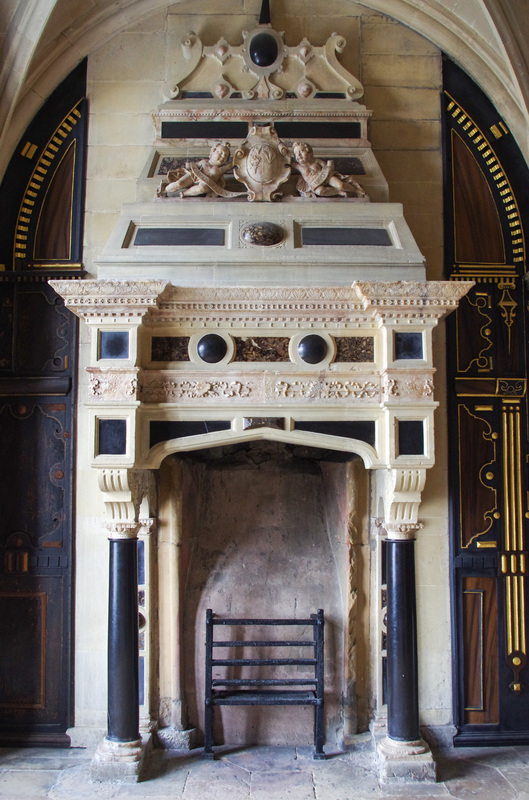 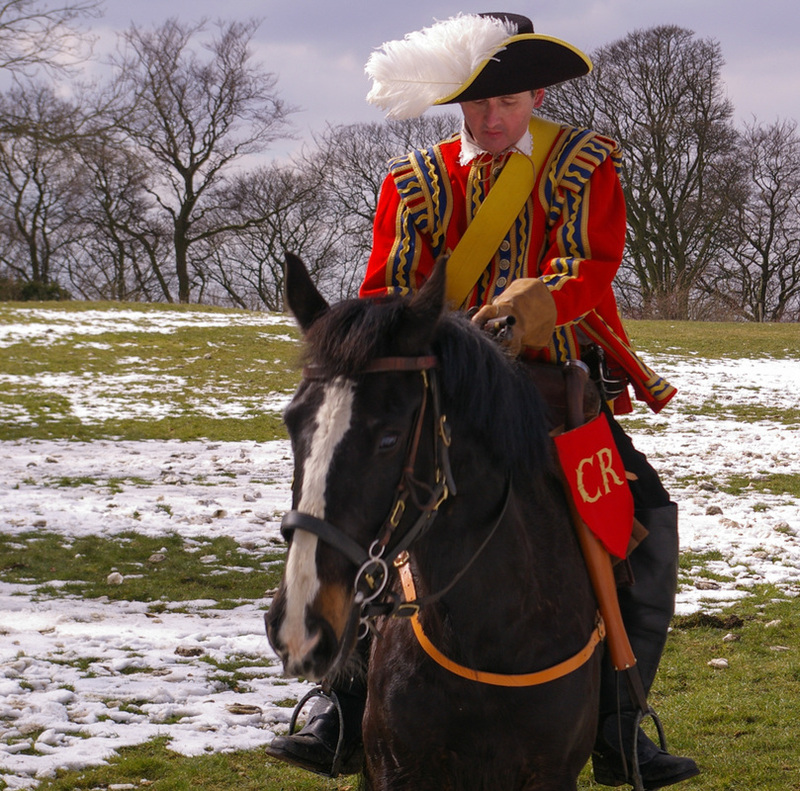 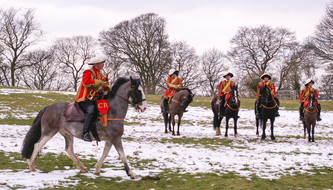 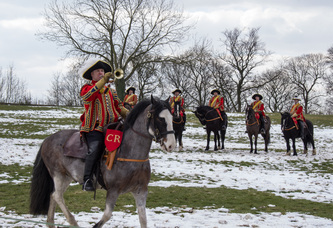 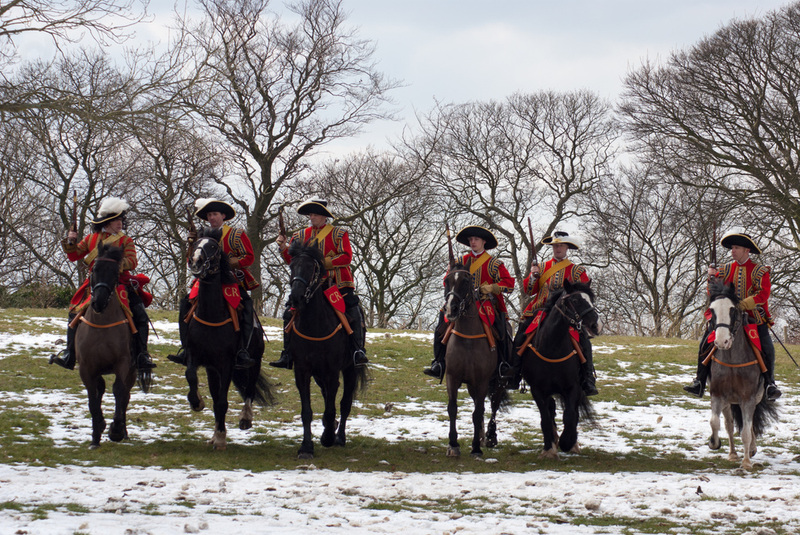 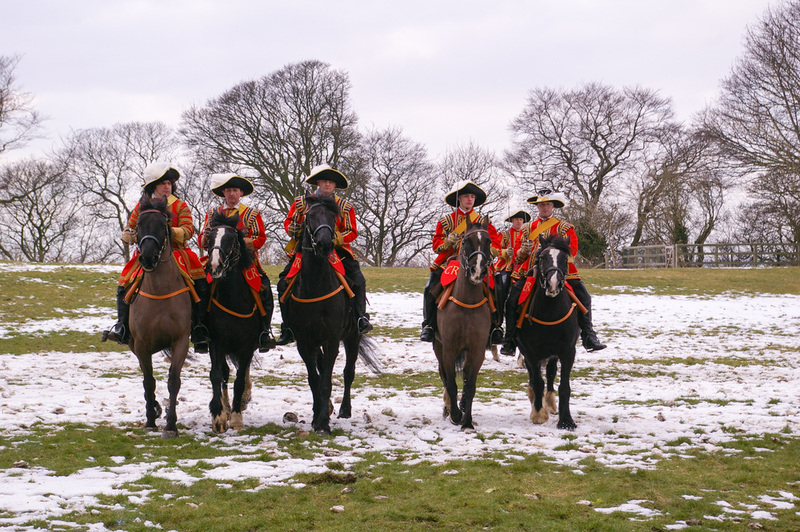 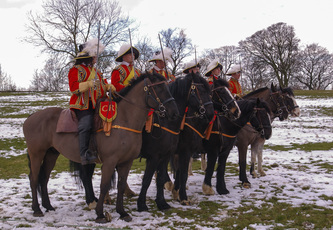 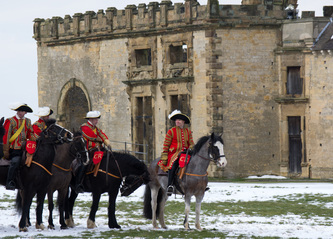 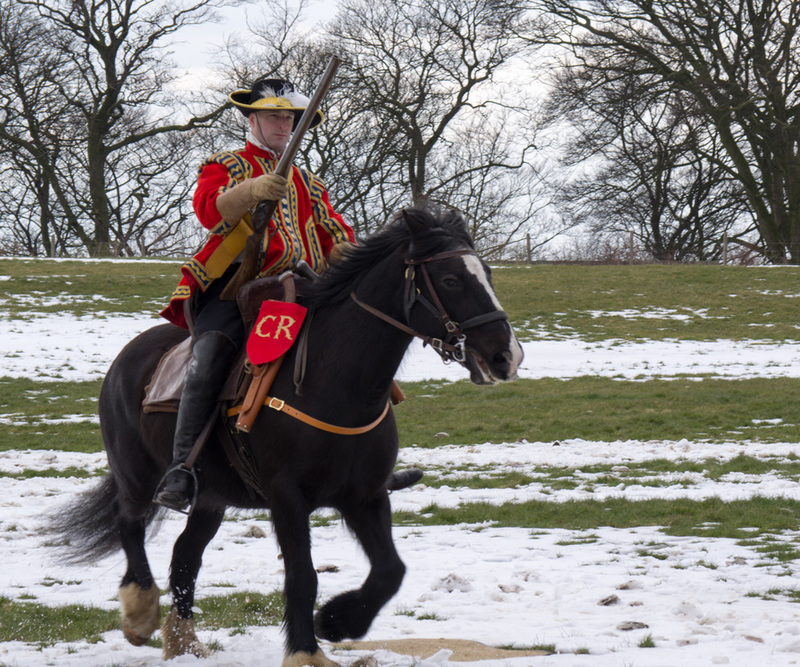 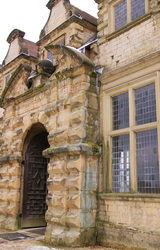 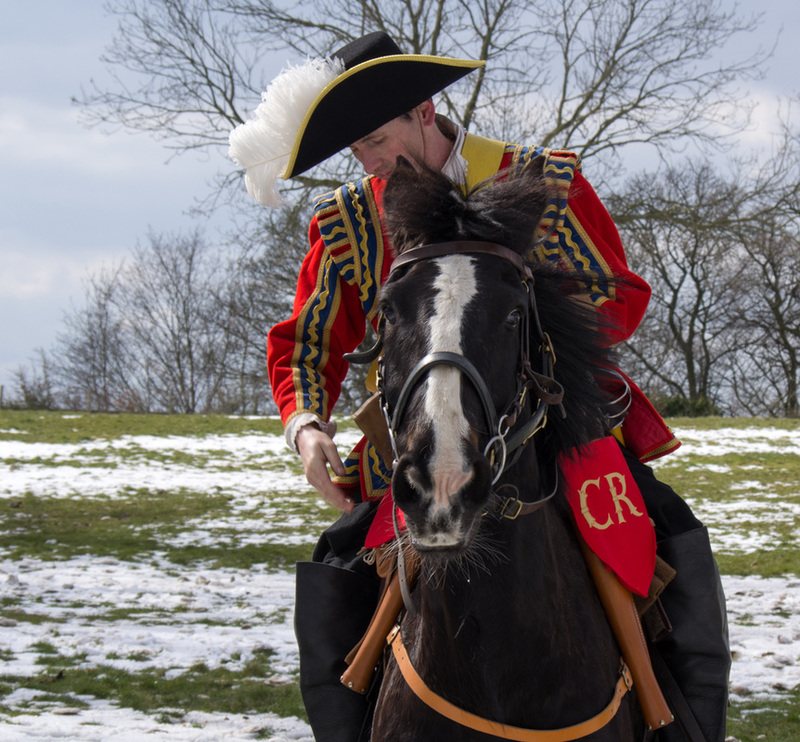 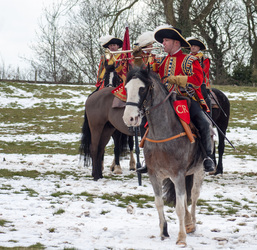 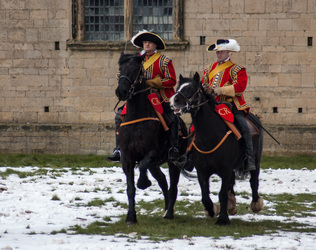 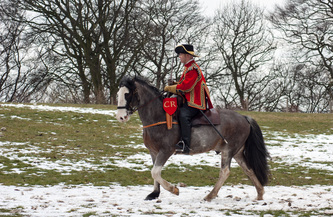 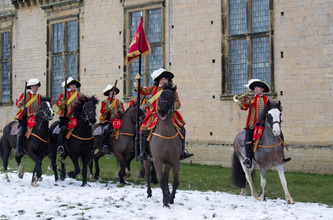 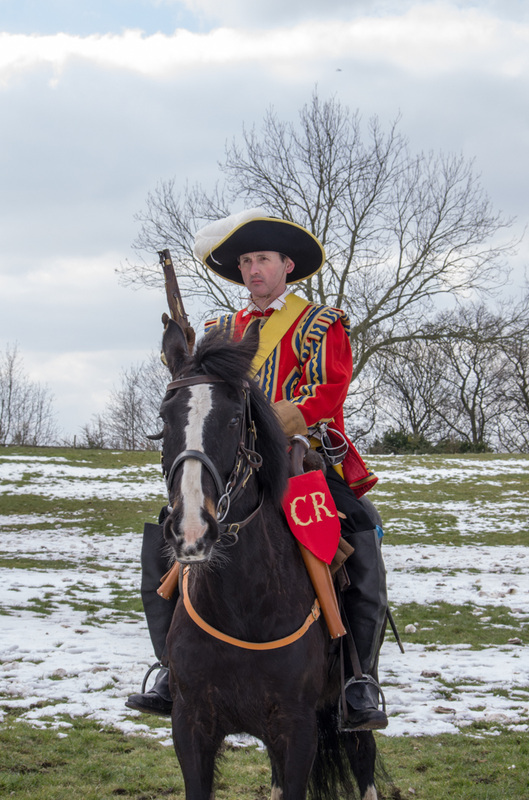 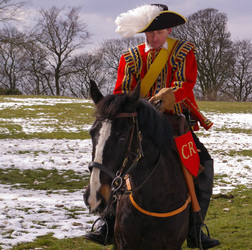 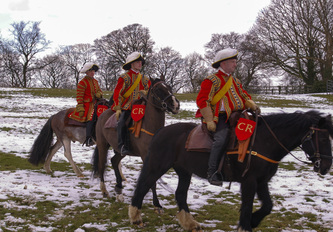 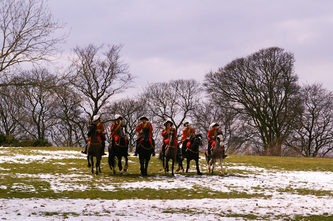 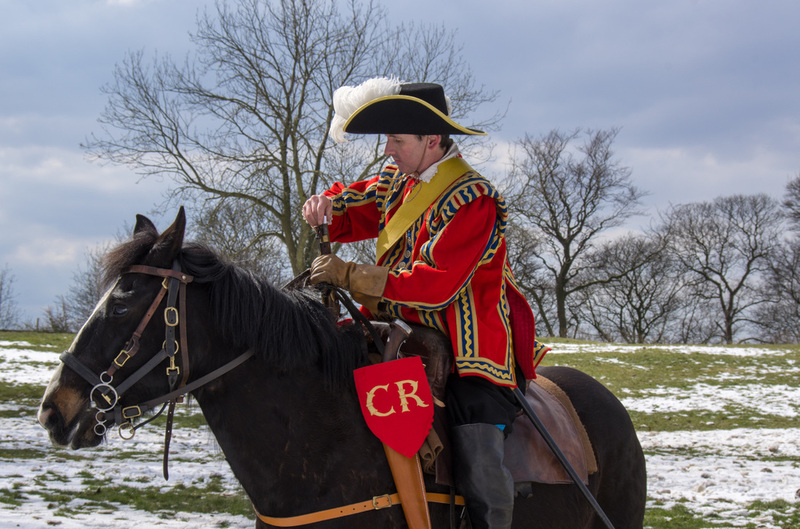 We've lost count of the number of times we've passed it and said one day we'd have to go and having seen on there website they have a display of 17thC Cavalry in the 'Riding House' each weekend from Easter until September we decided Good Friday was the time to go and to go early. 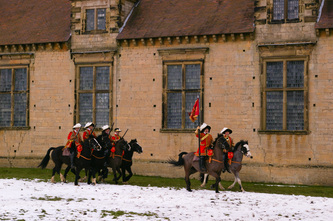 We arrived just a few minutes after opening at 10am and it was already busy, luckily for us we were one of the first to see the Cavalry display, the first it was said for over 300 years, and I defy anybody to say they saw the signals being given to the horse as to what the performer (Dominque ... in this first display) required the animal to do. 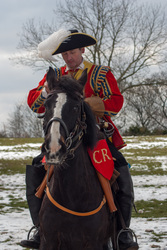 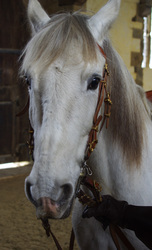 Absolutely amazing and the bond between horse and rider was evident for all to see. 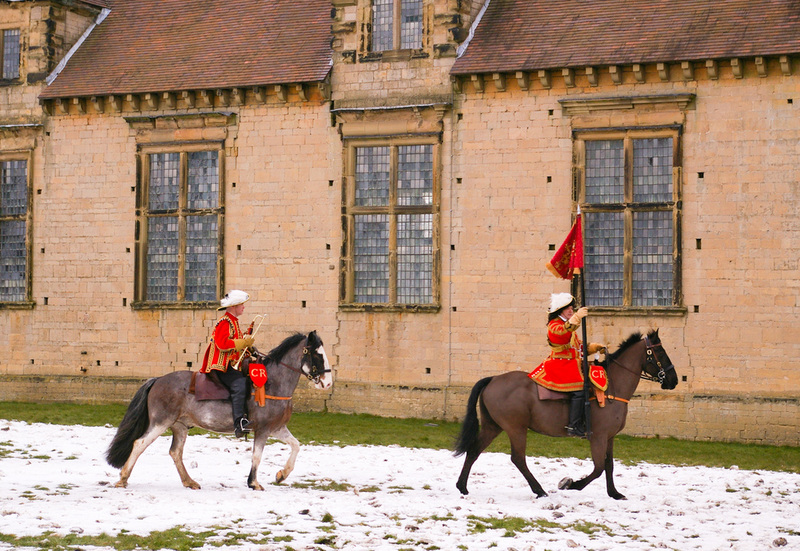 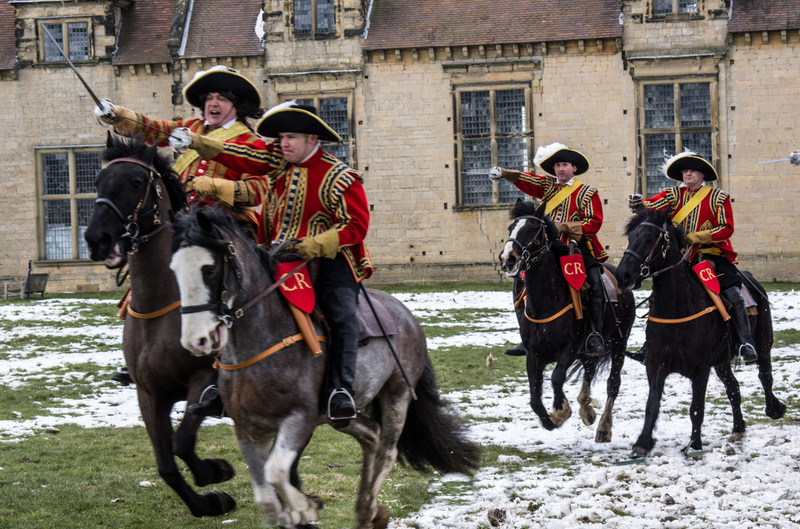 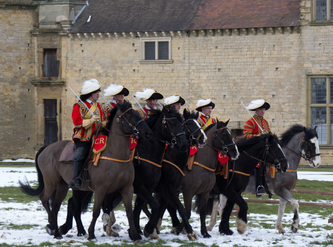 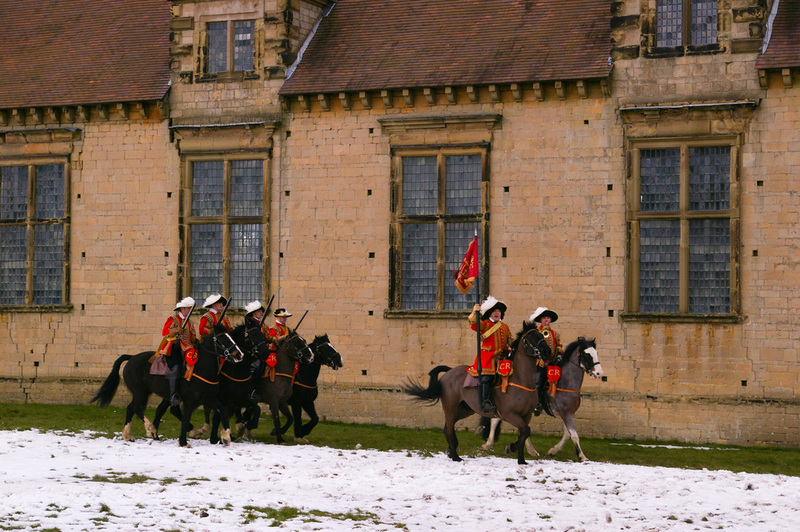 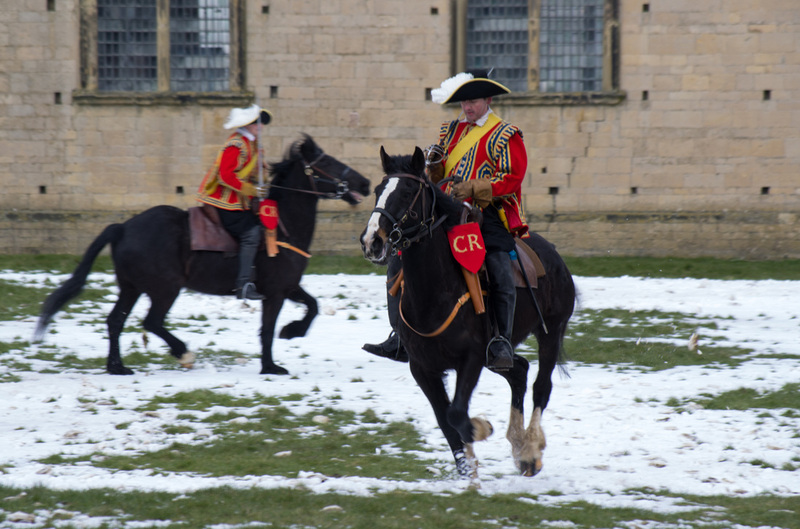 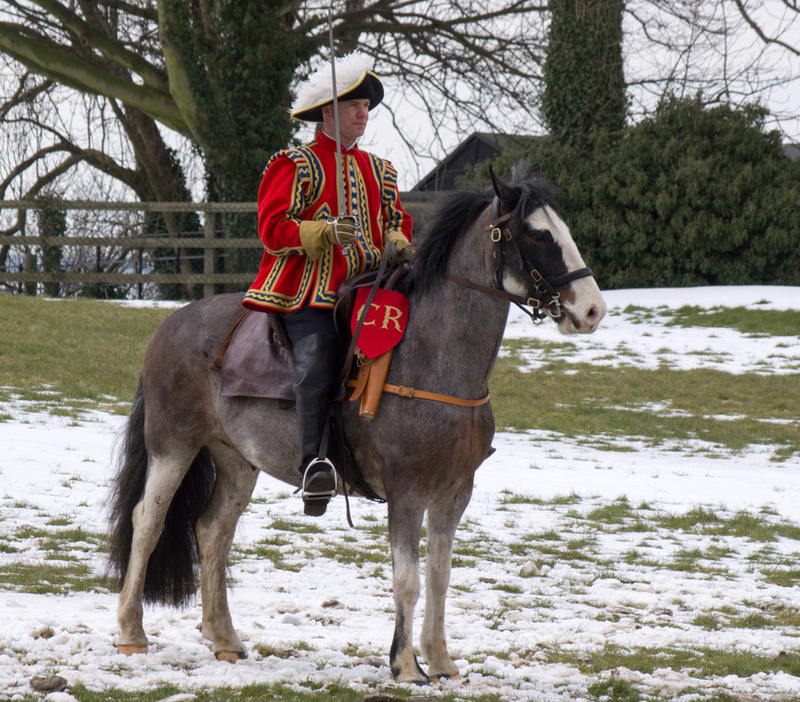 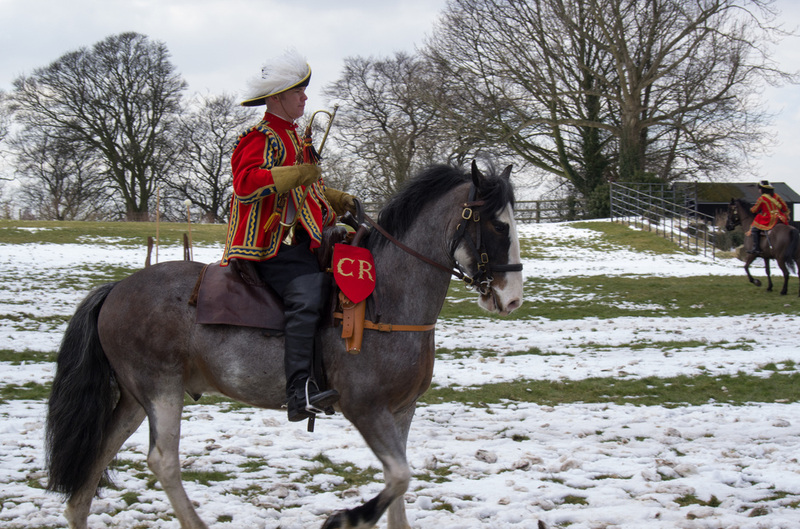 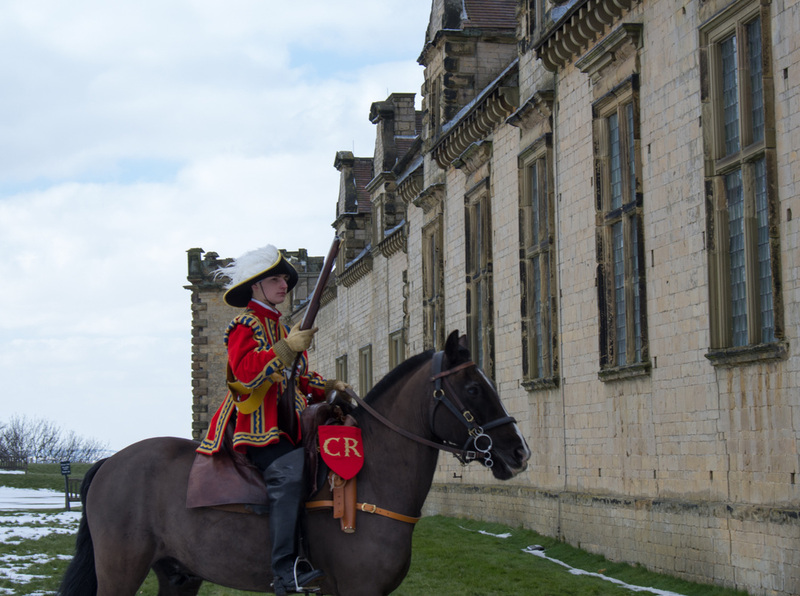 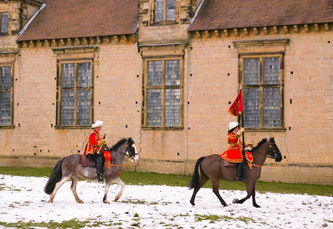 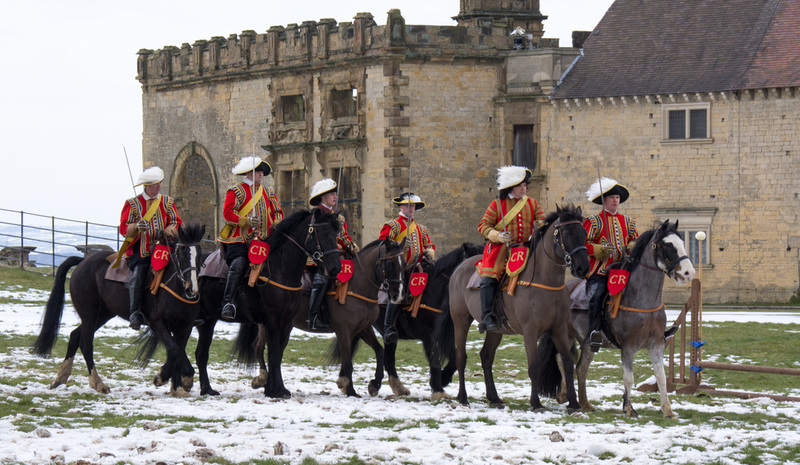 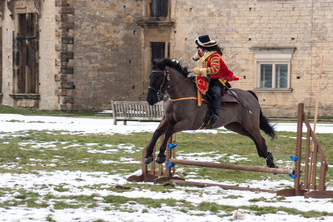 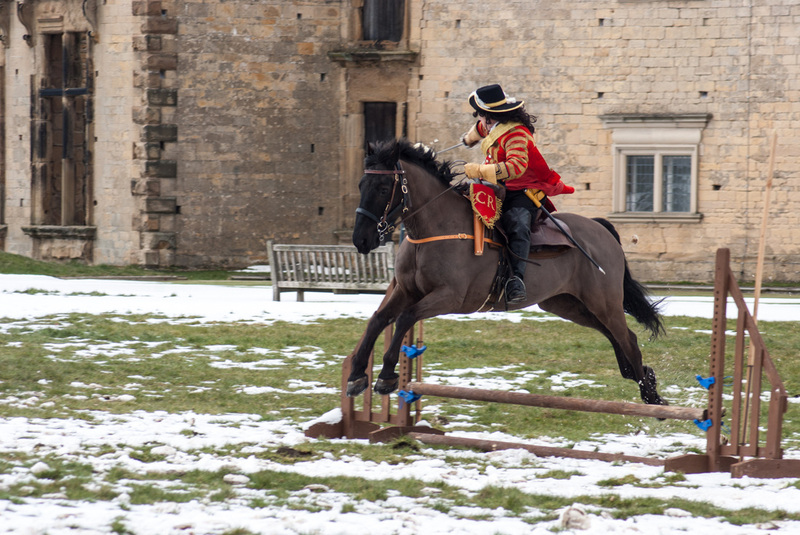 Here are just a few photos of the external Cavalry Display (no photos allowed in the Riding School incase they spook the horses) and the beautiful setting in which 'The Troop' were able to perform.